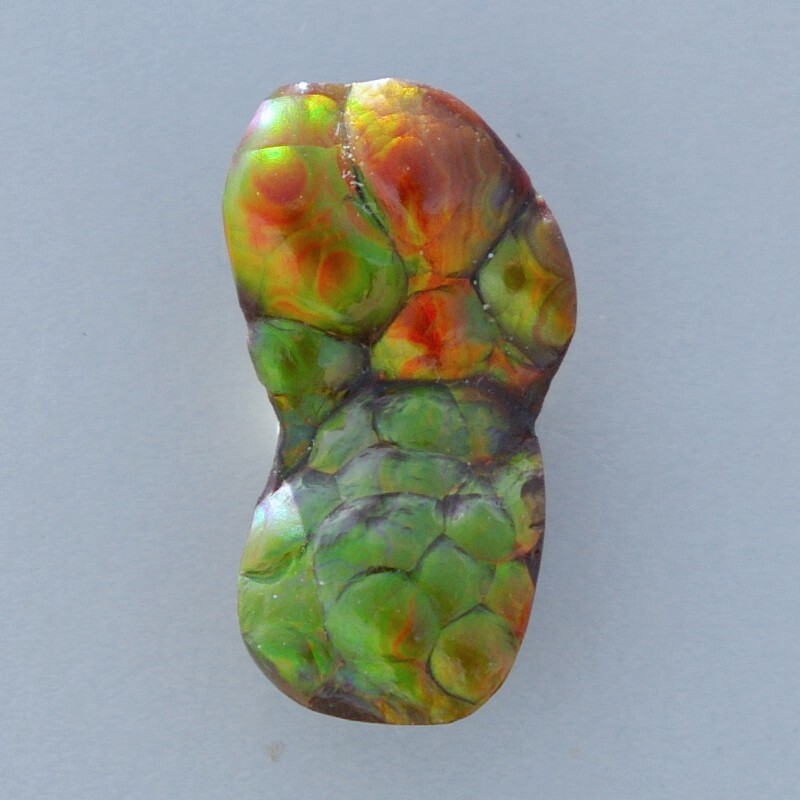 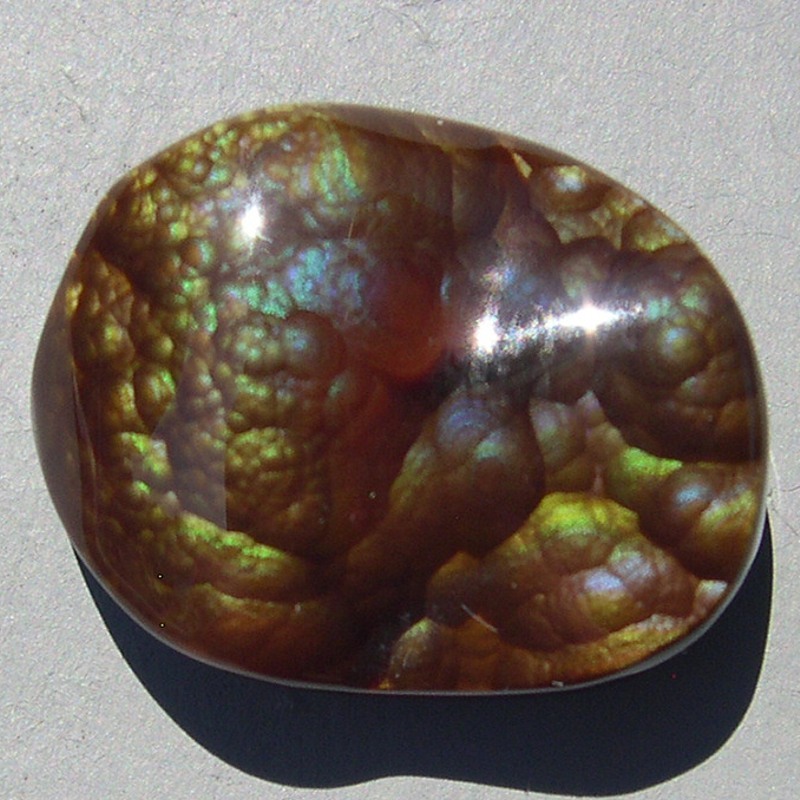 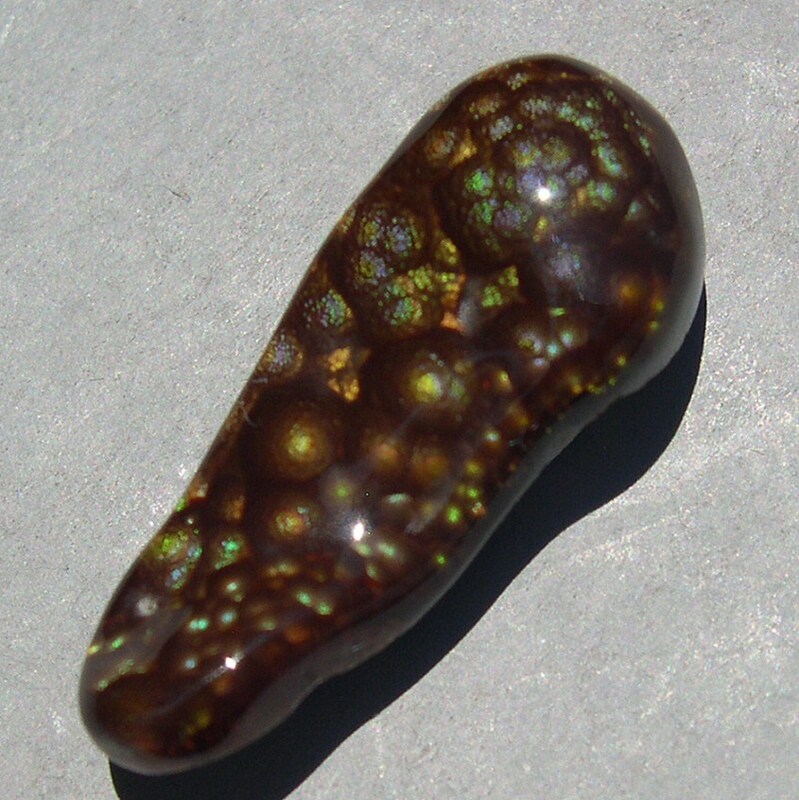 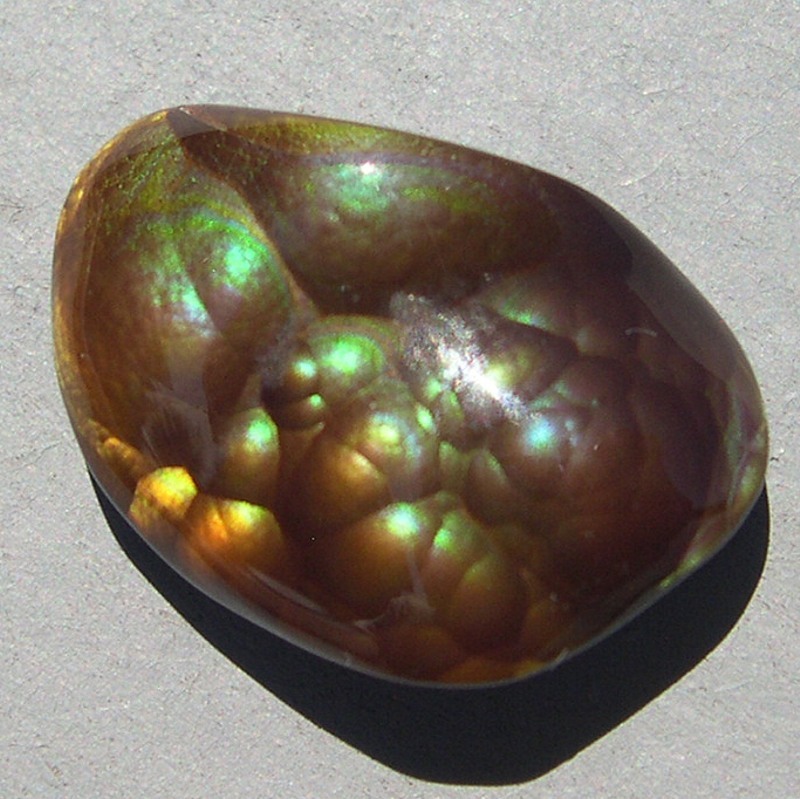 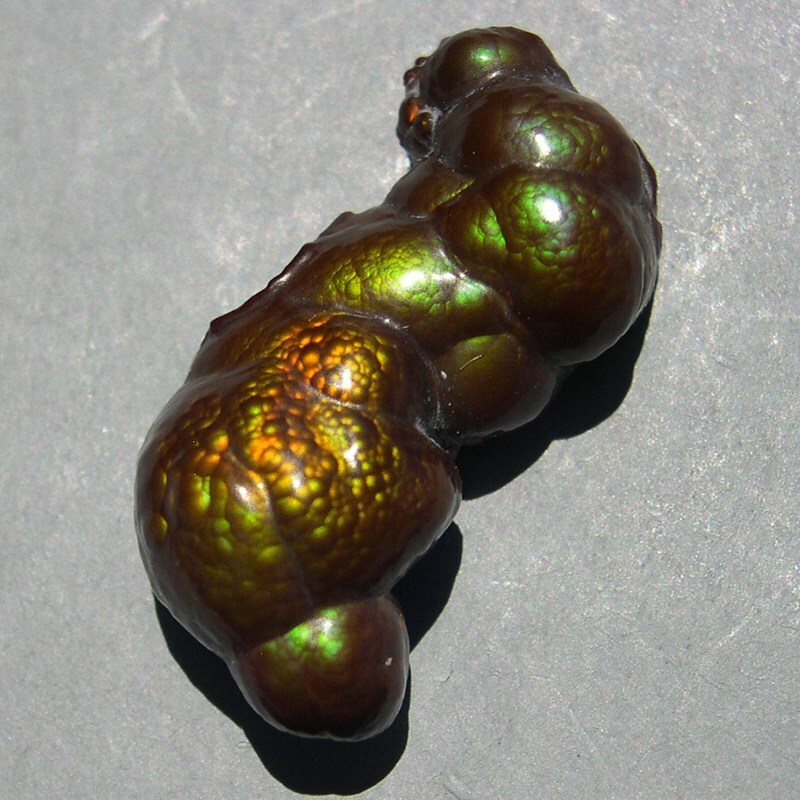 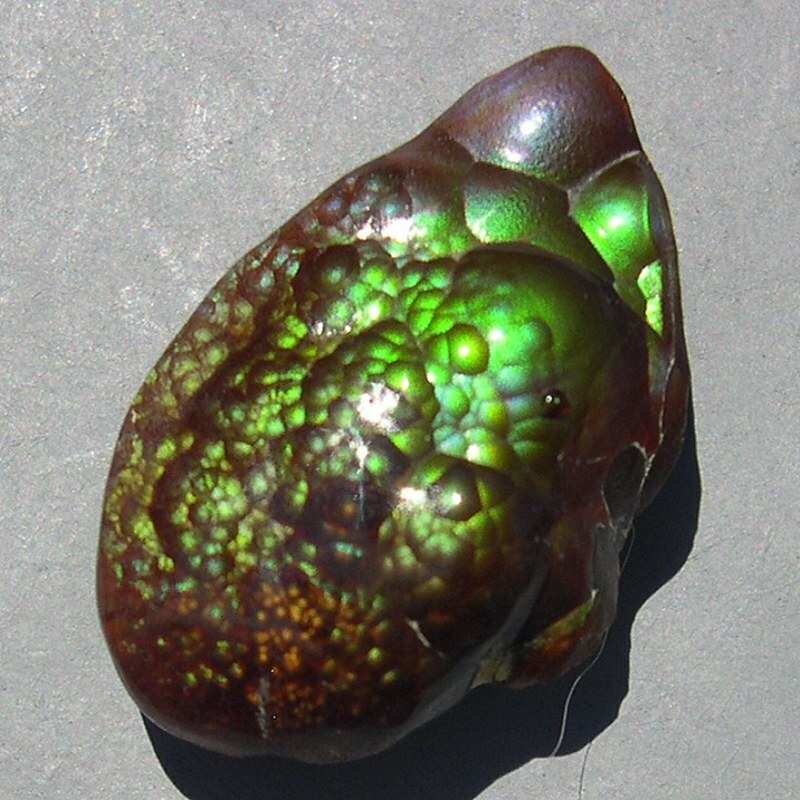 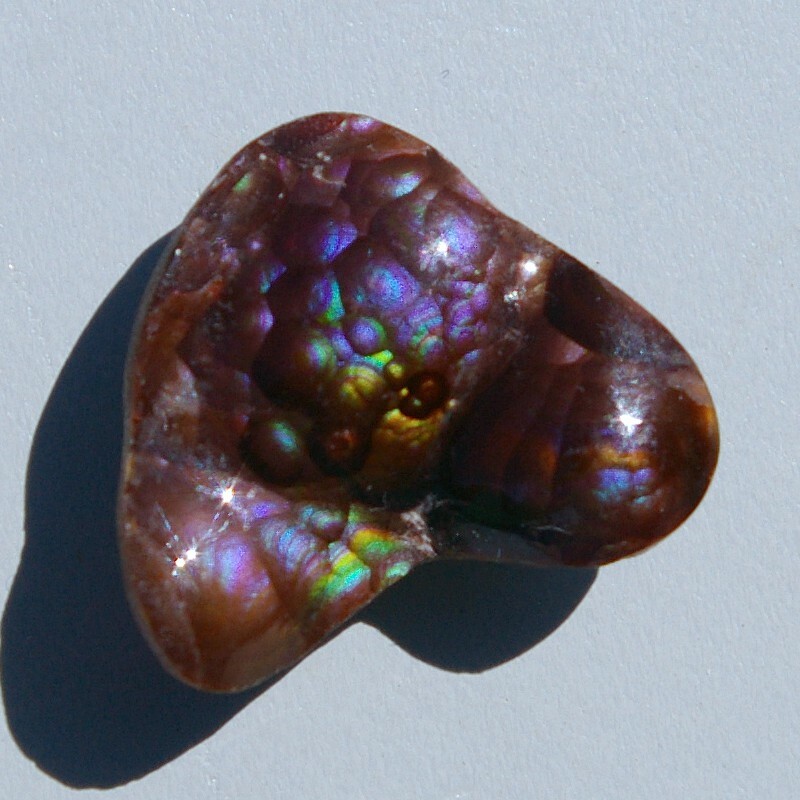 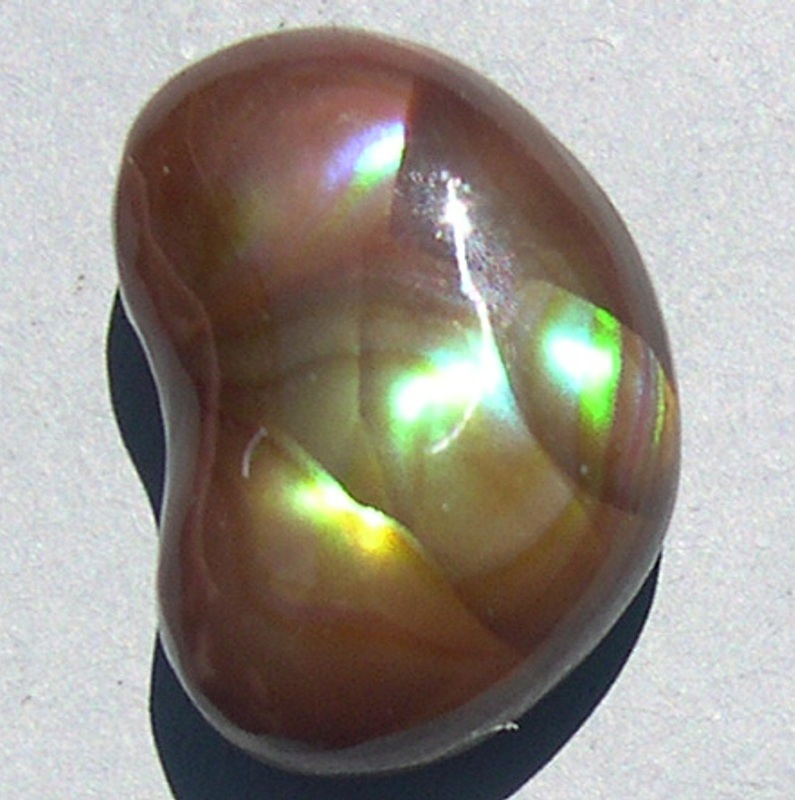 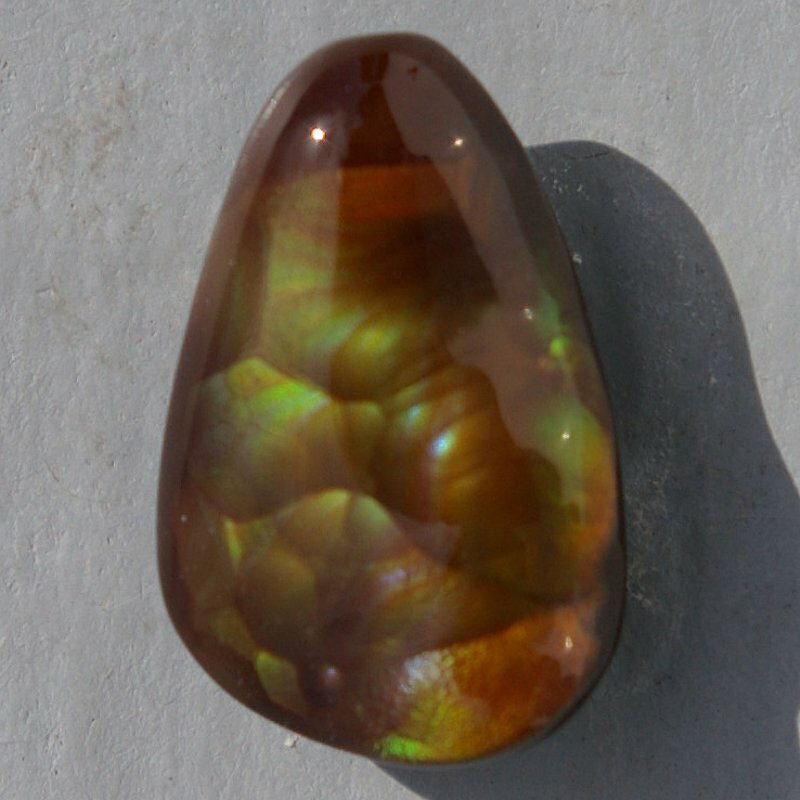 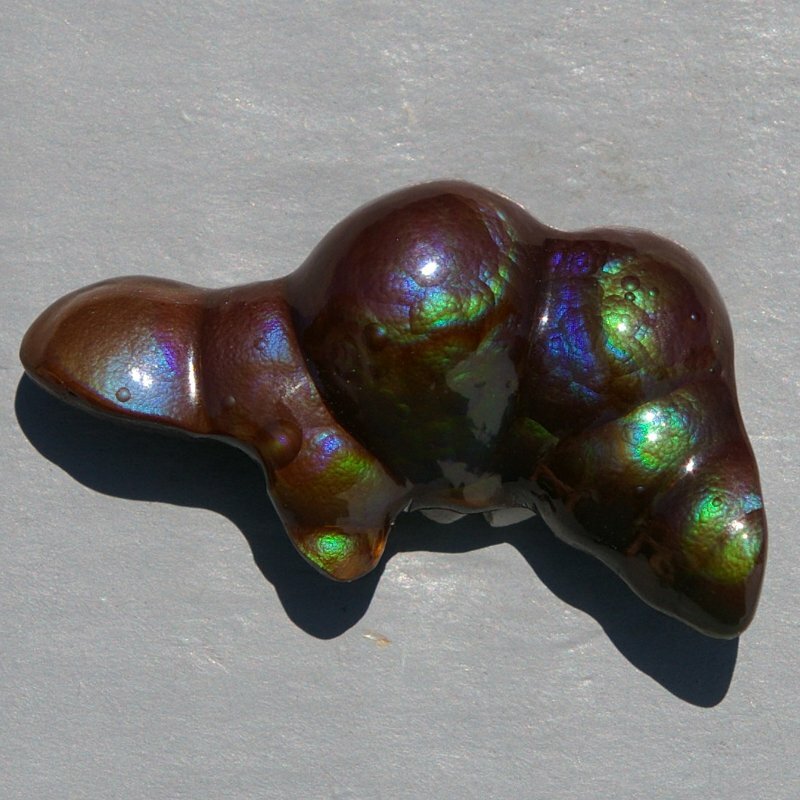 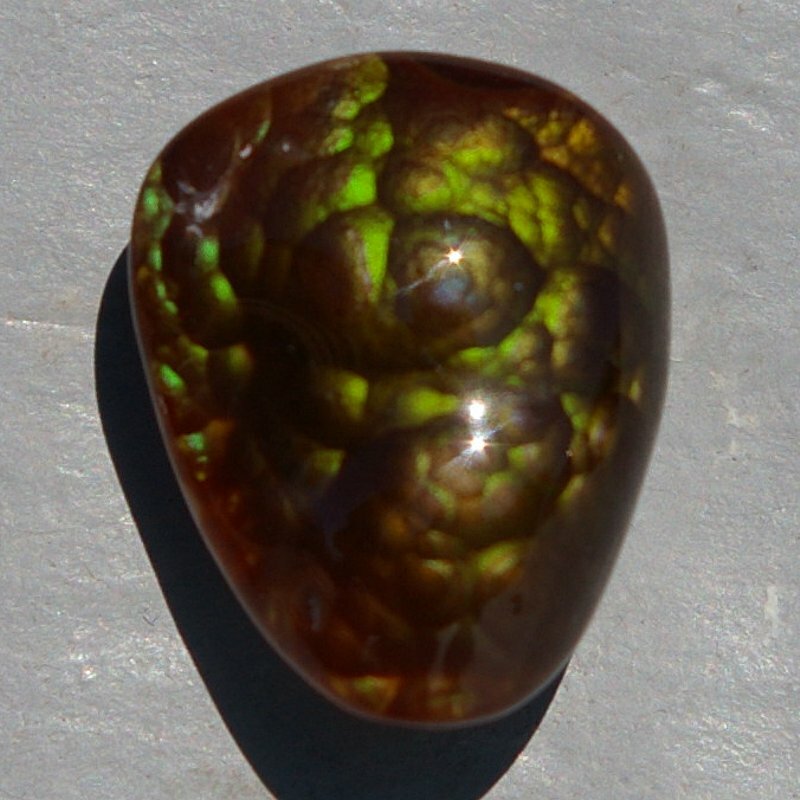 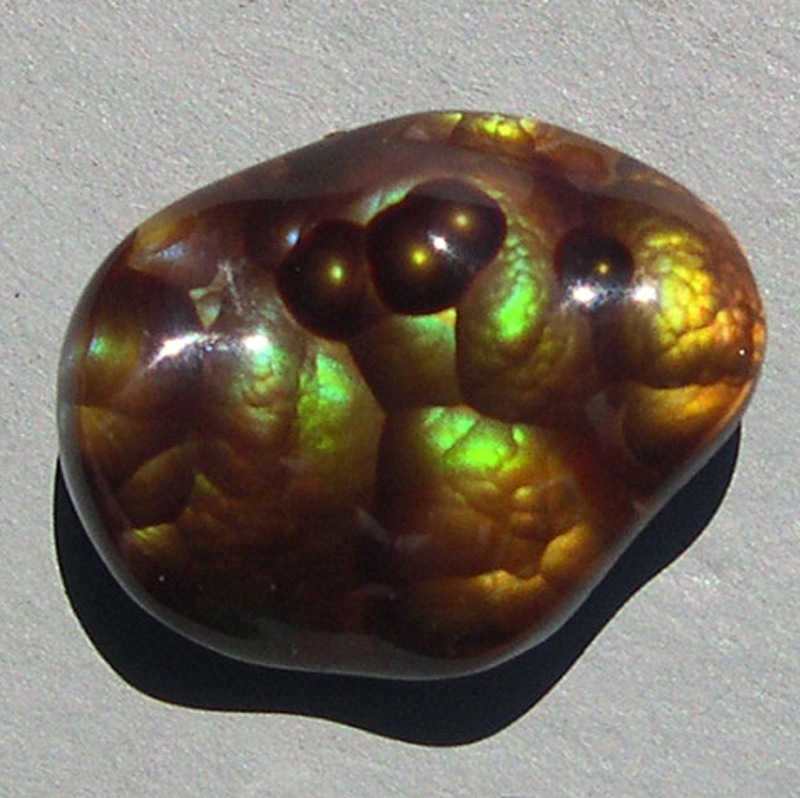 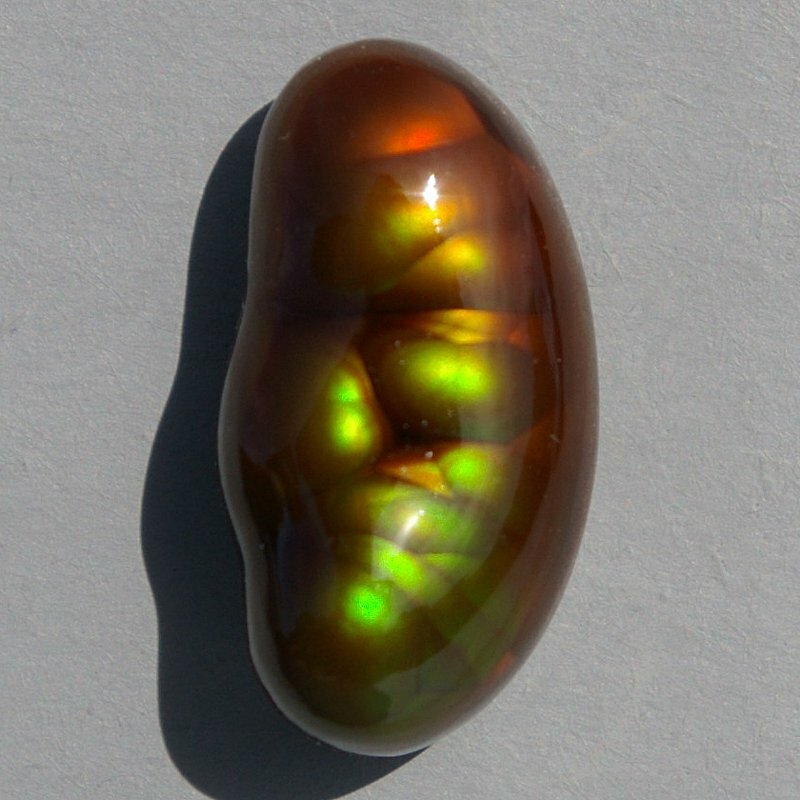 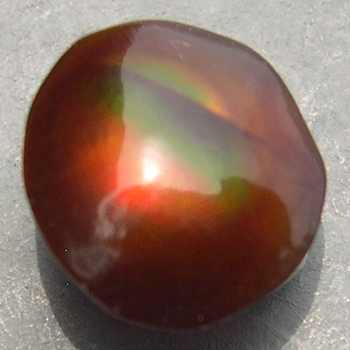 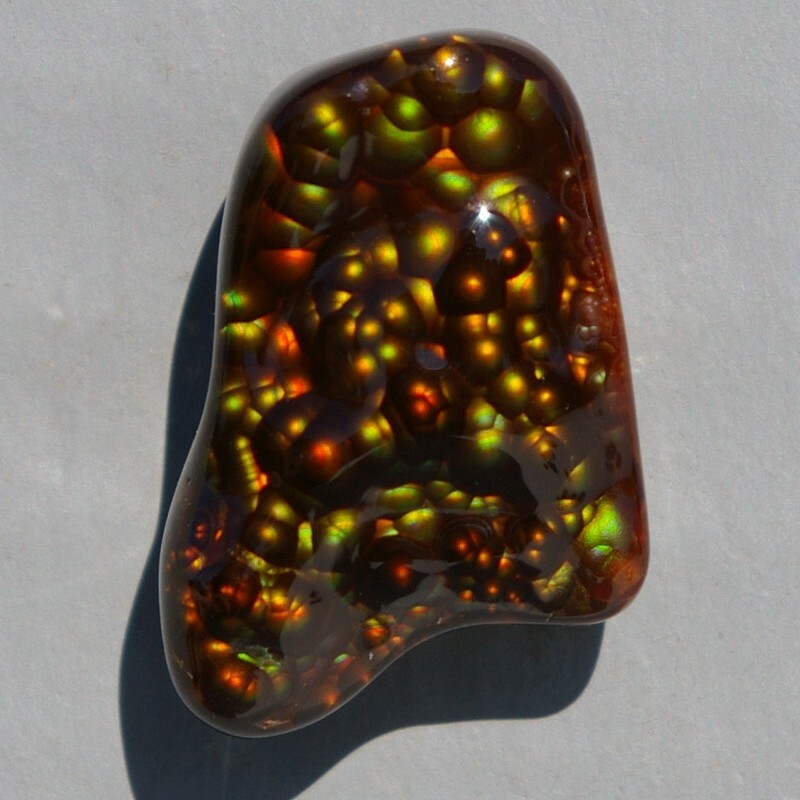 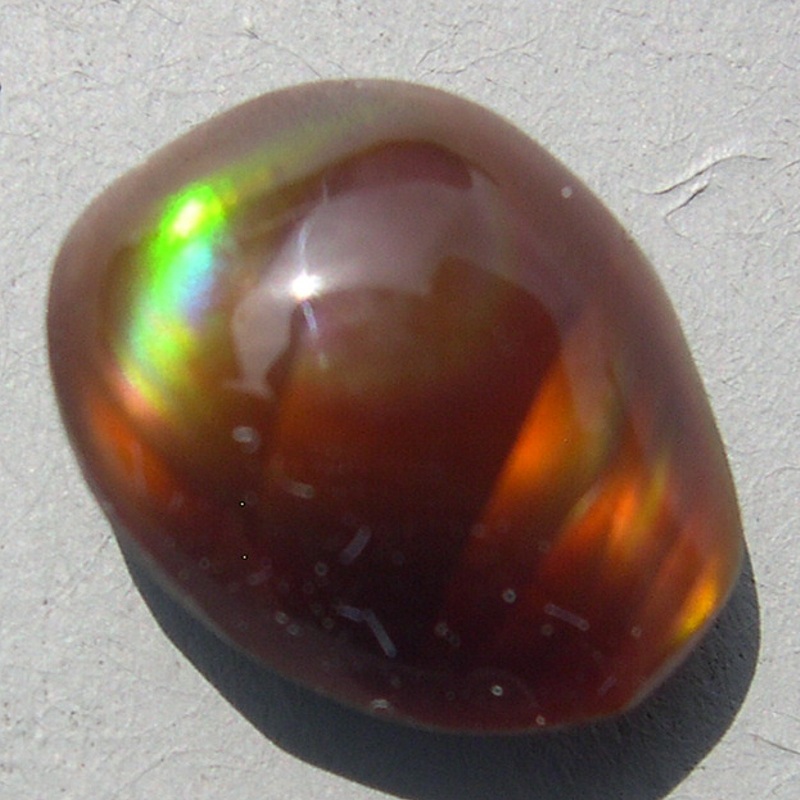 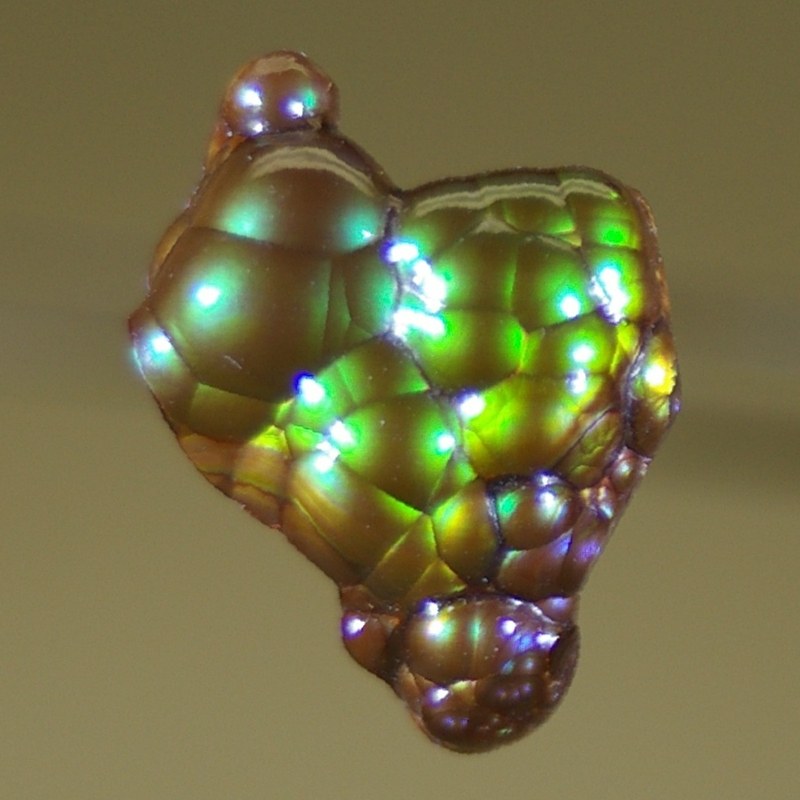 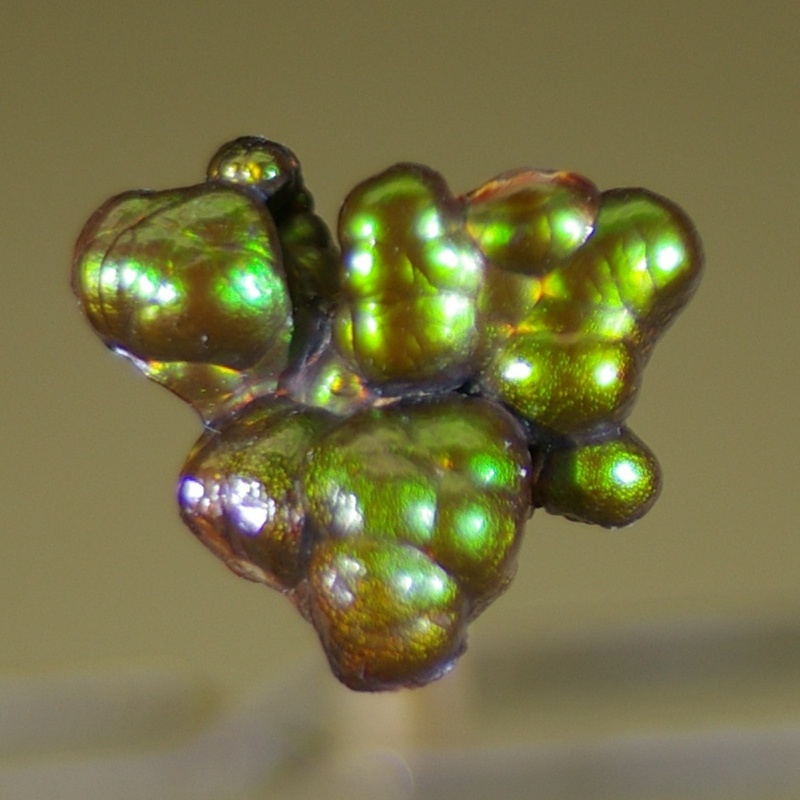 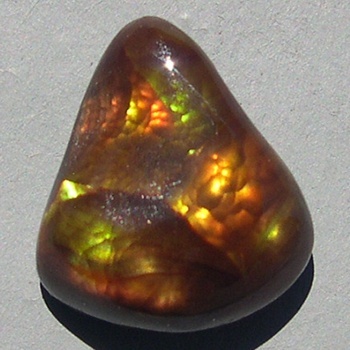 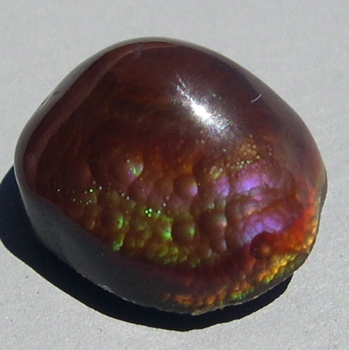 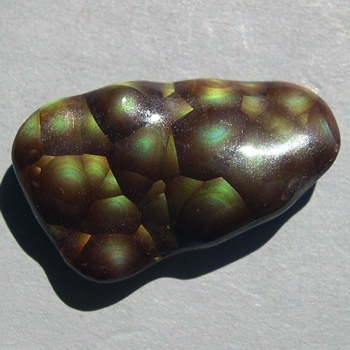 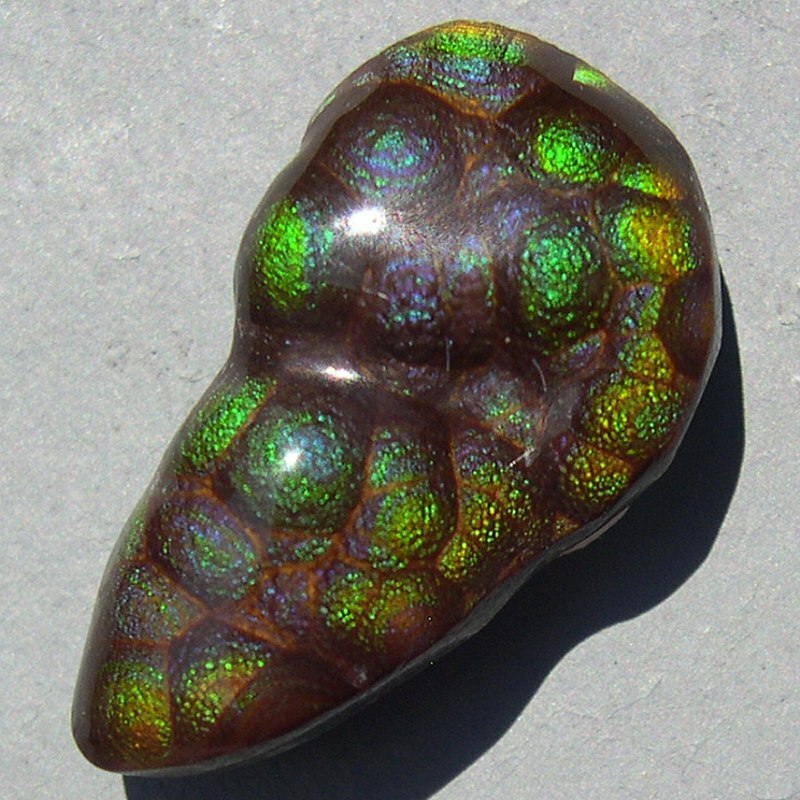 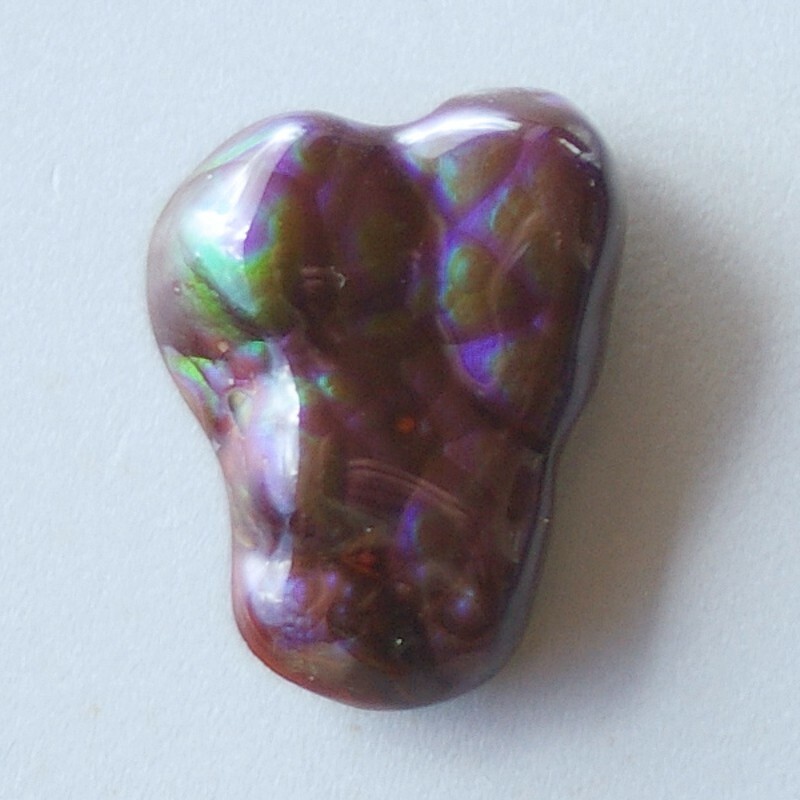 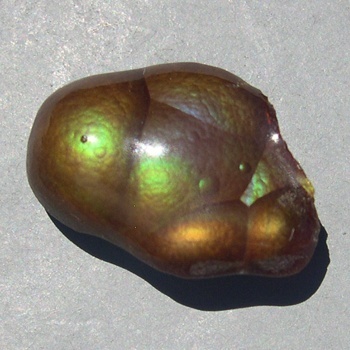 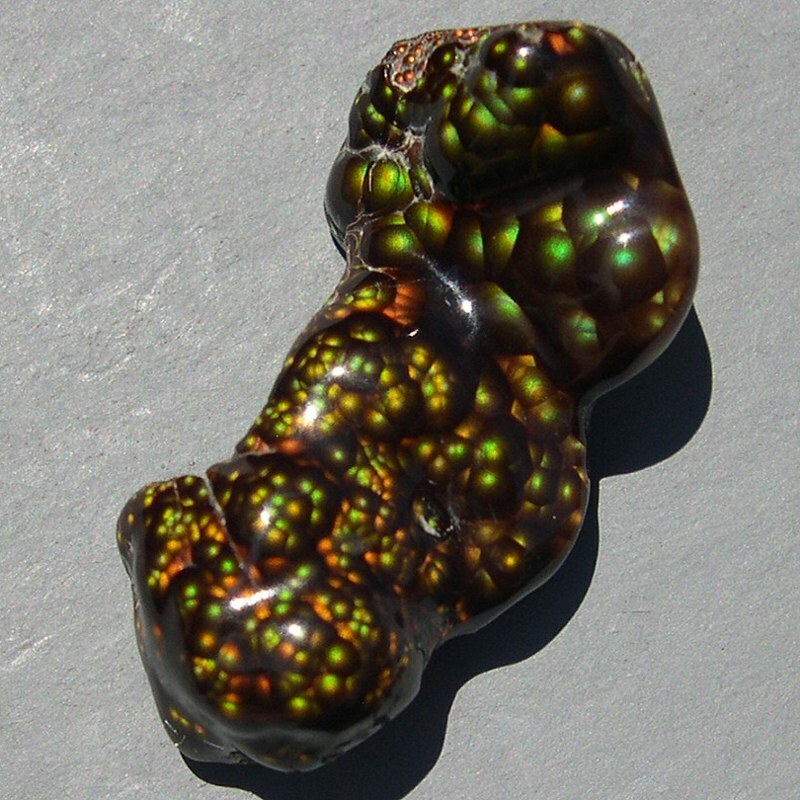 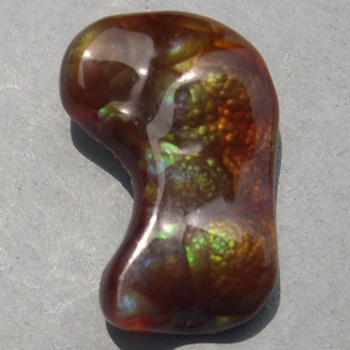 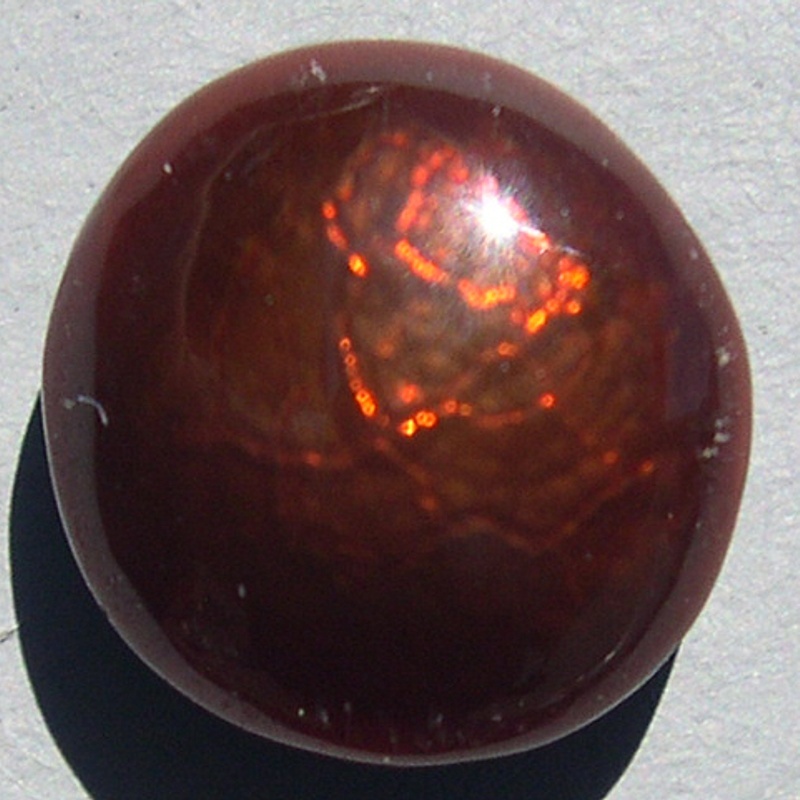 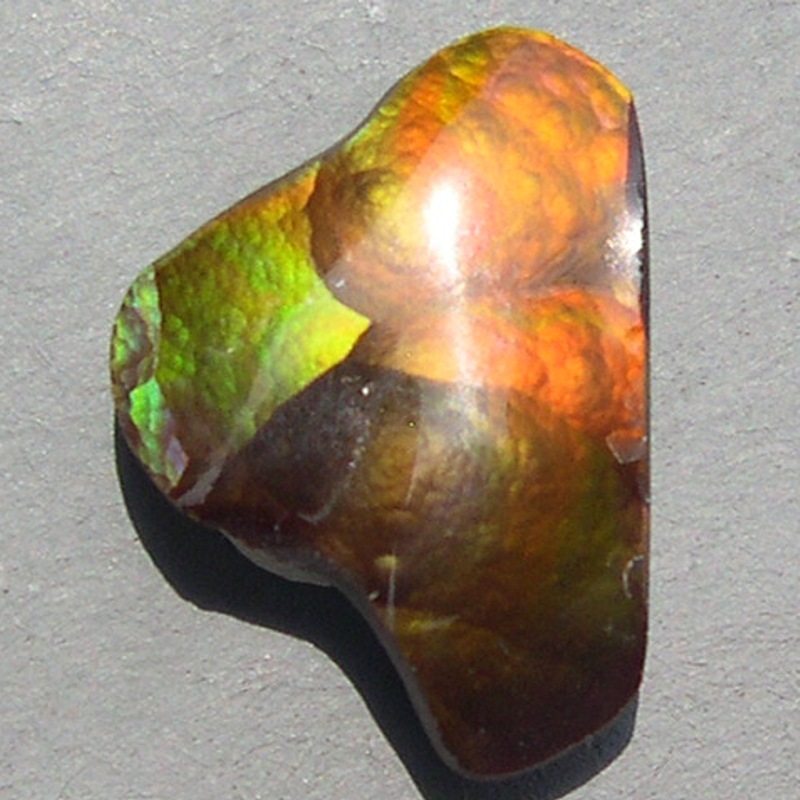 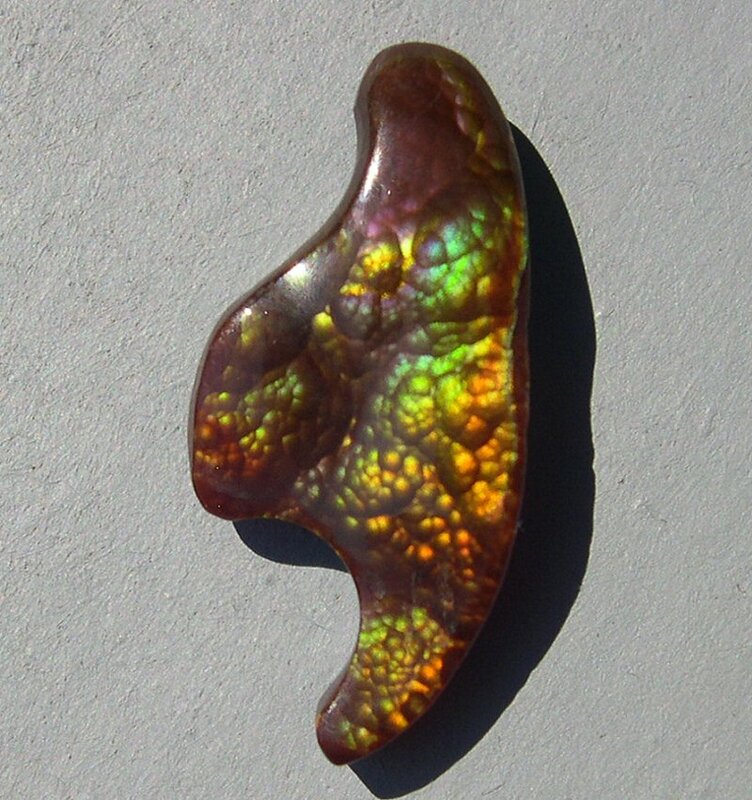 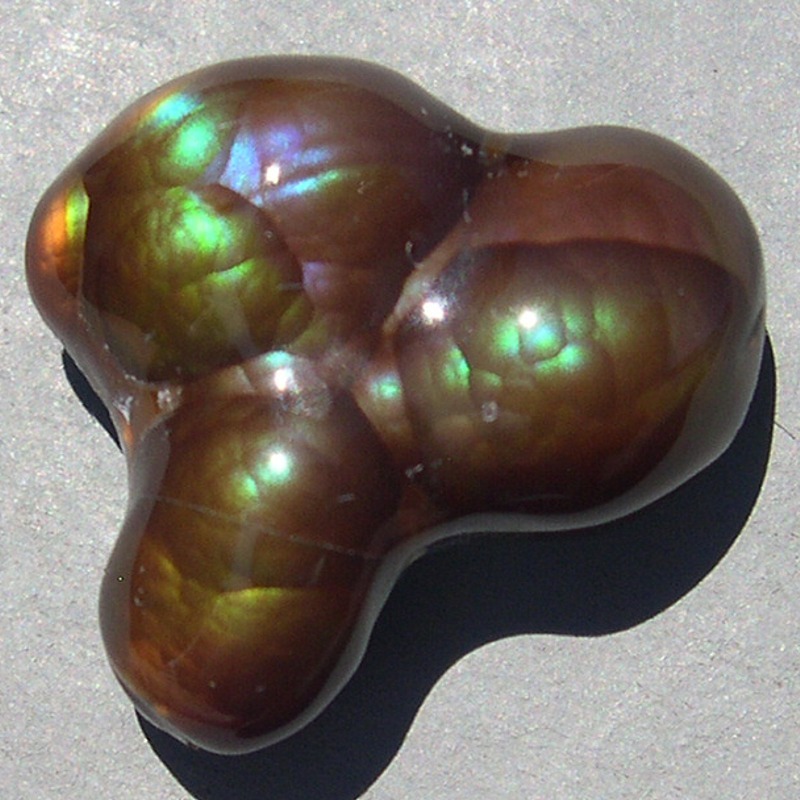 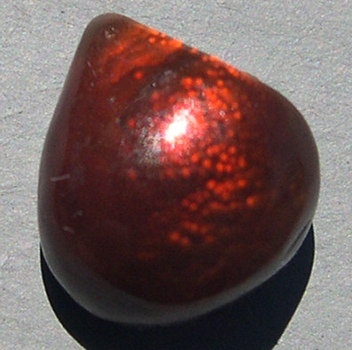 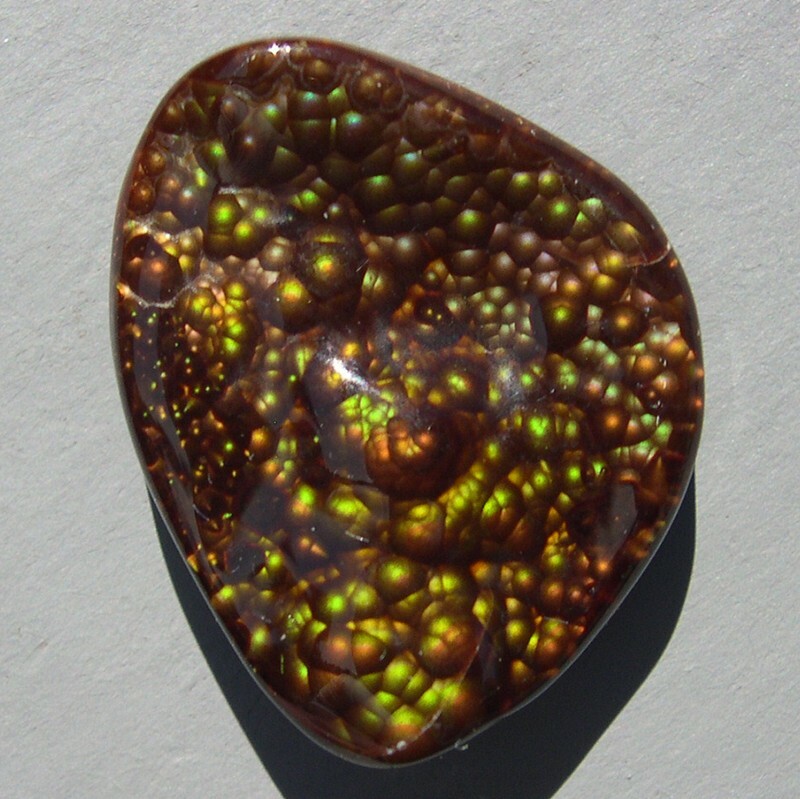 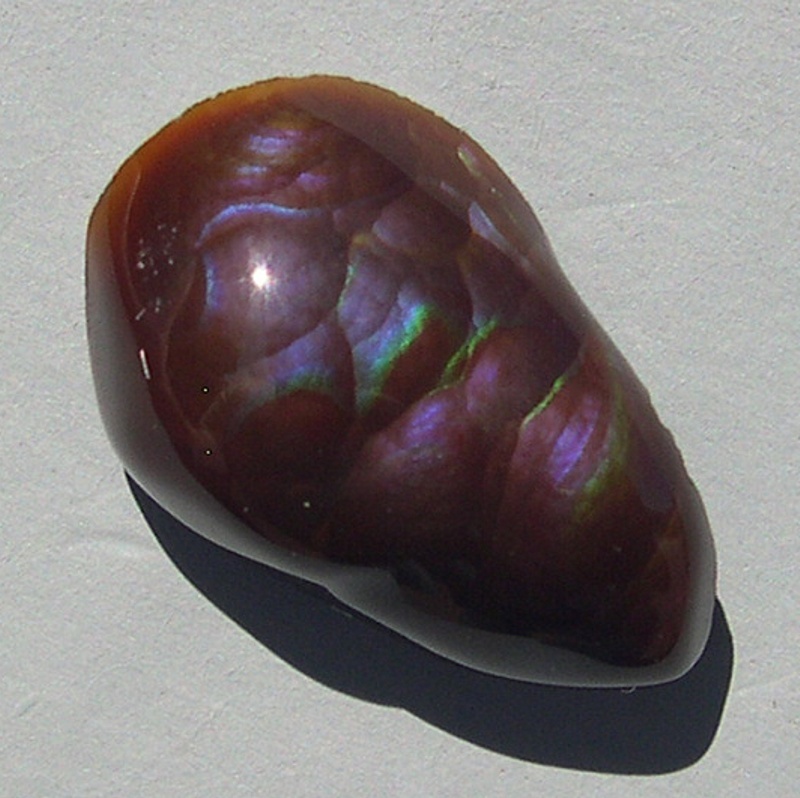 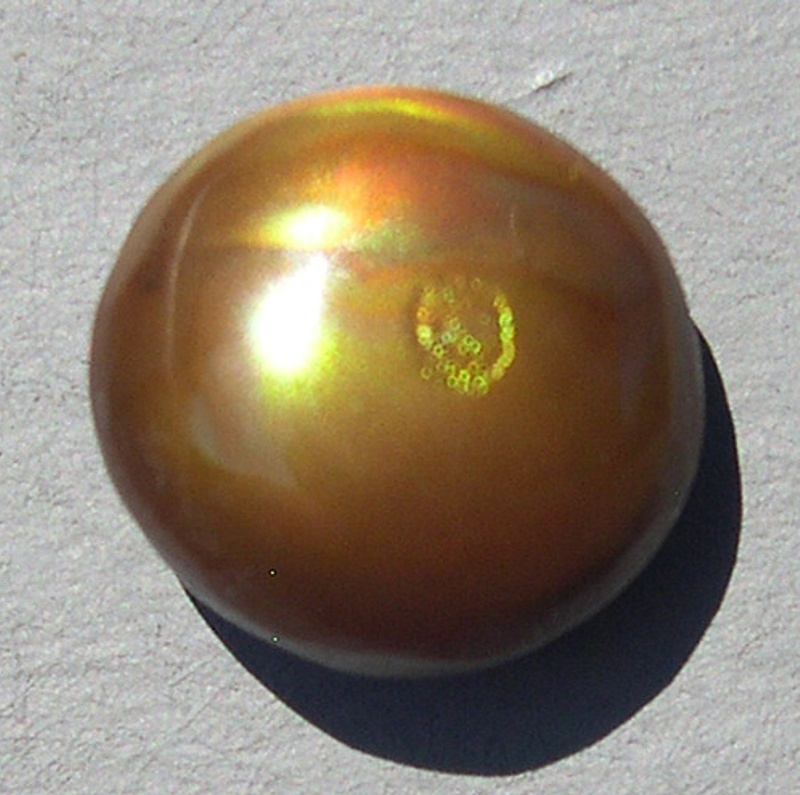 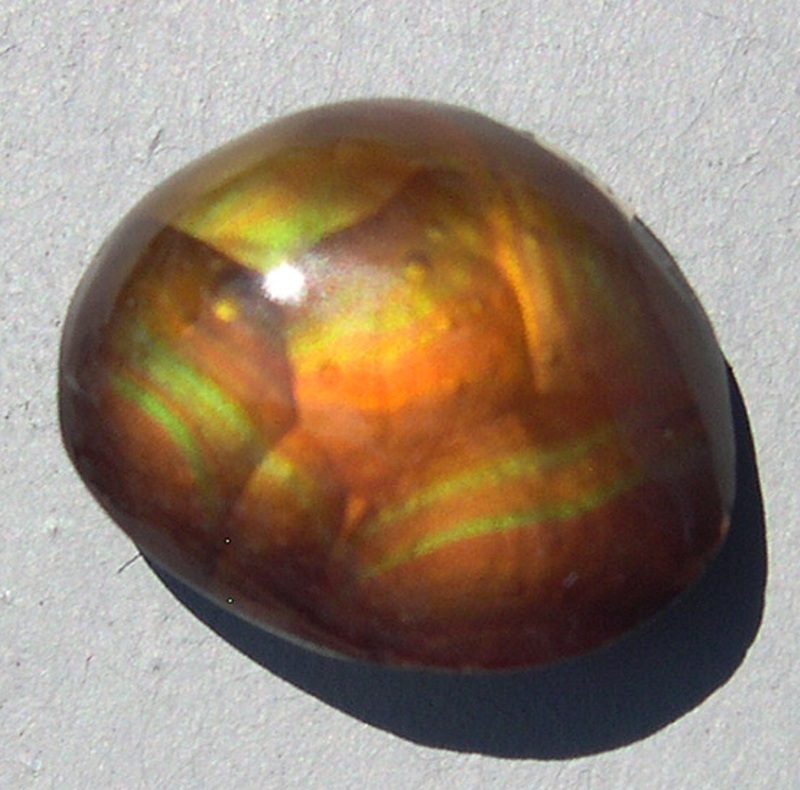 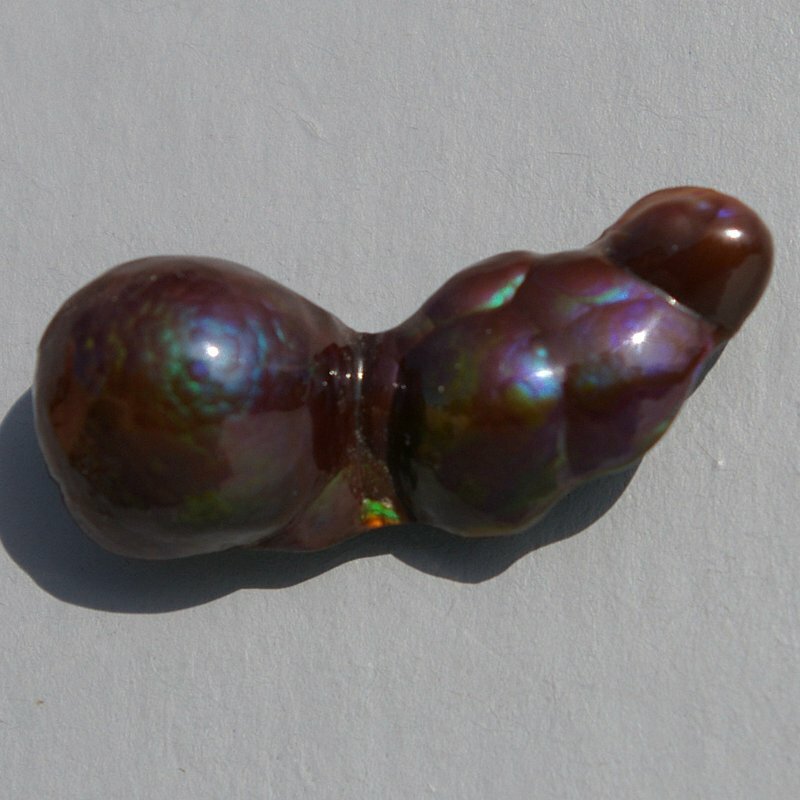 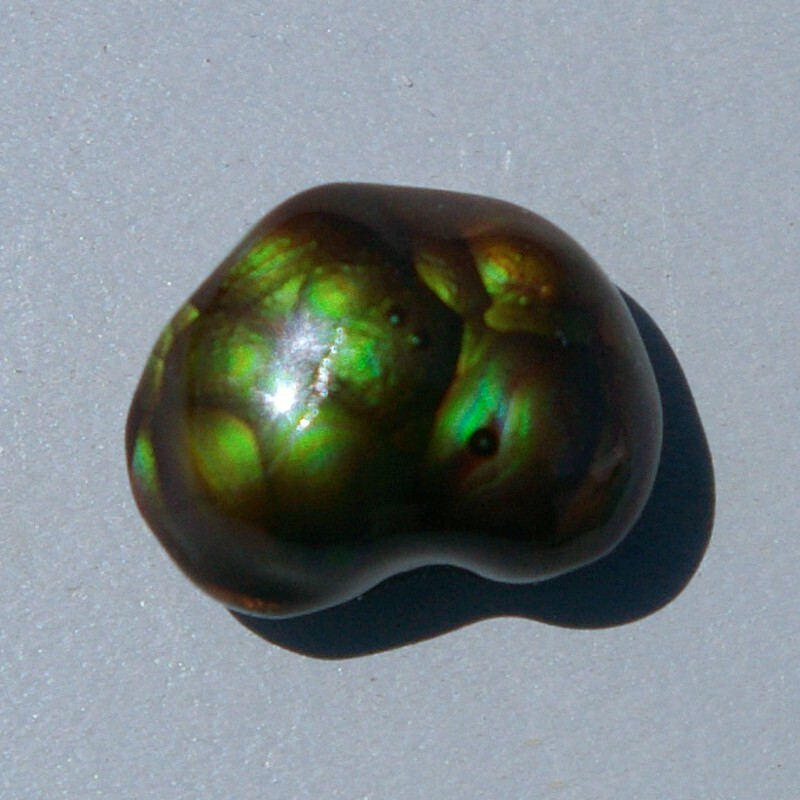 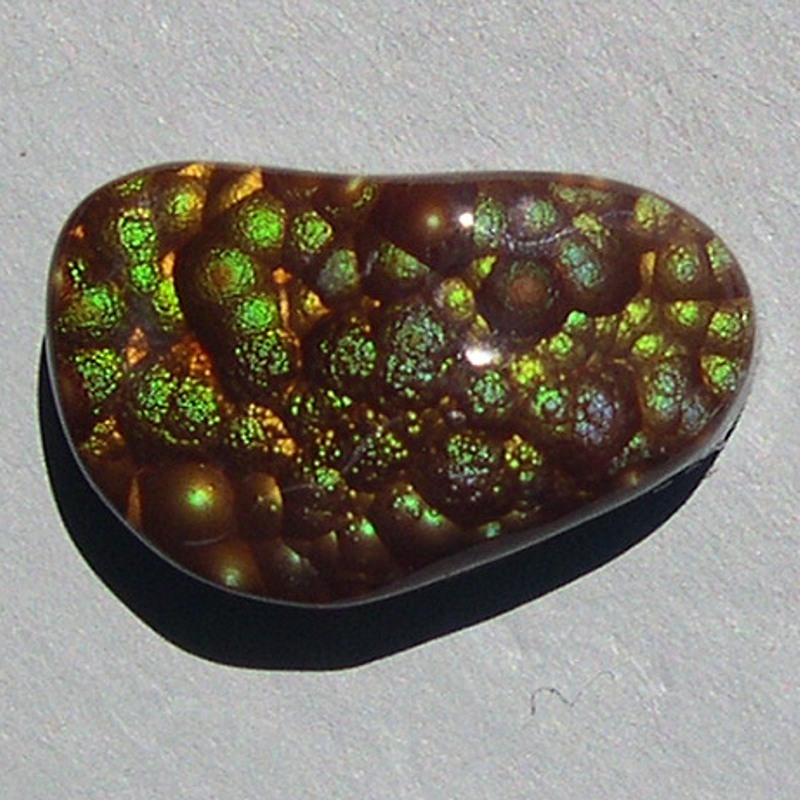 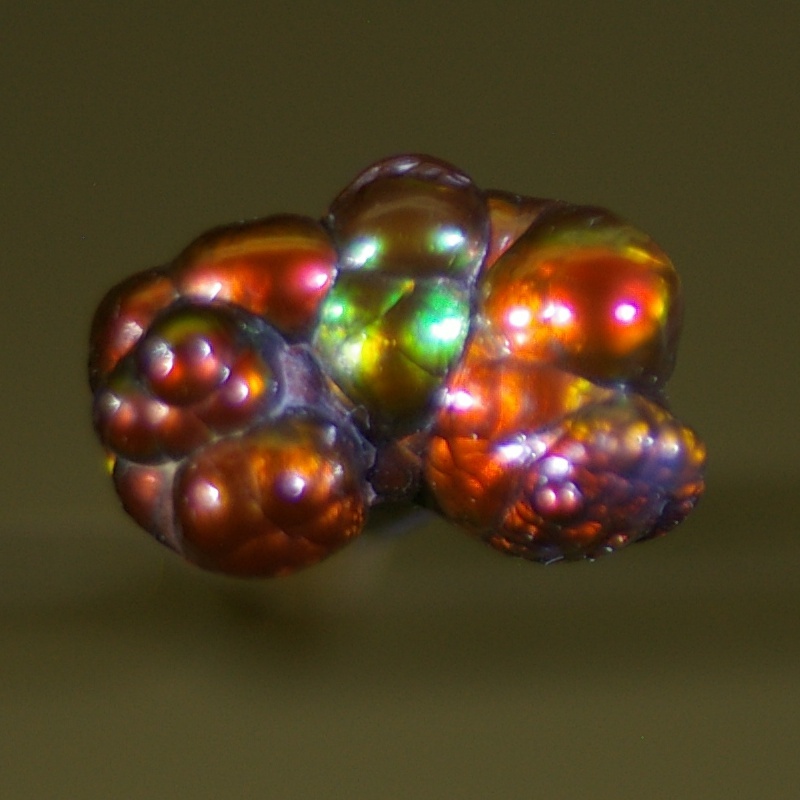 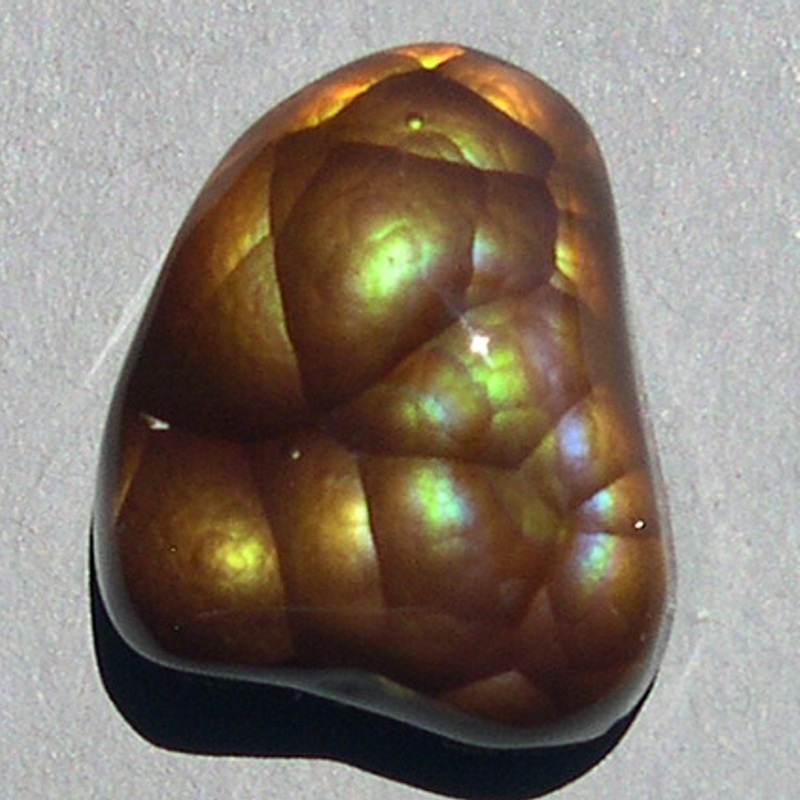 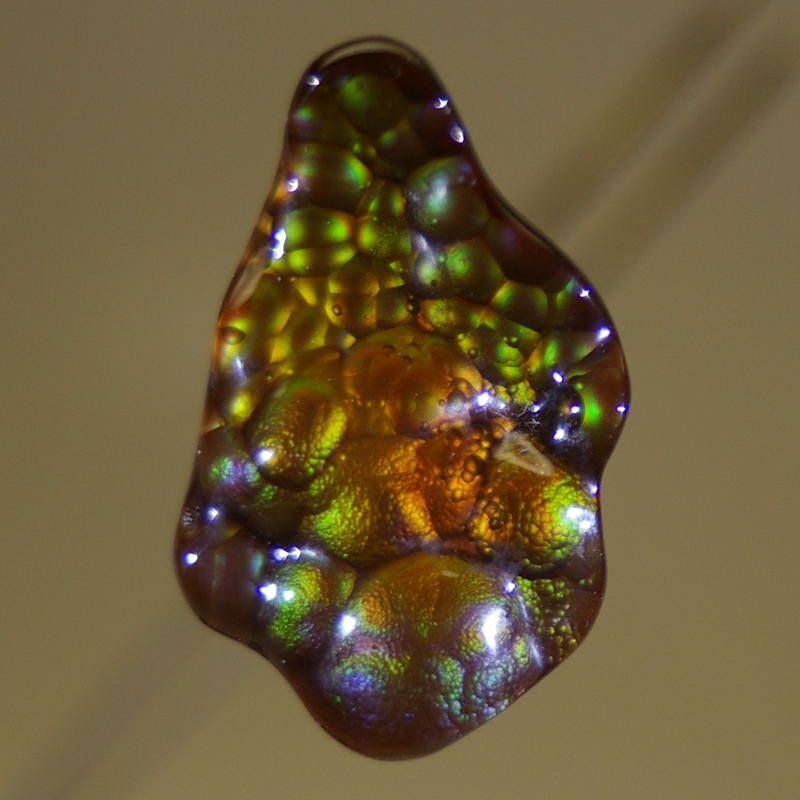 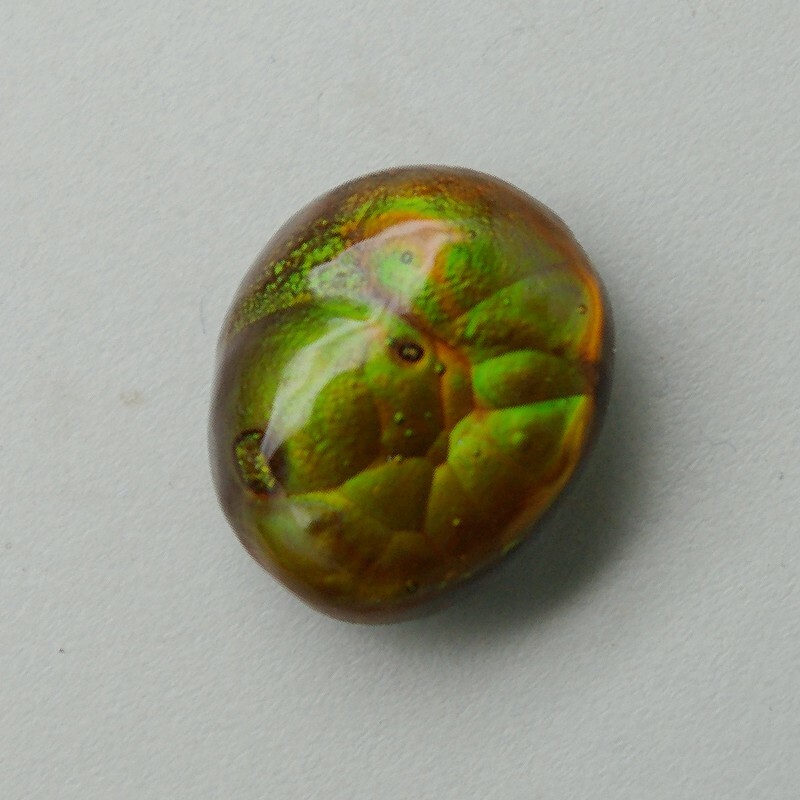 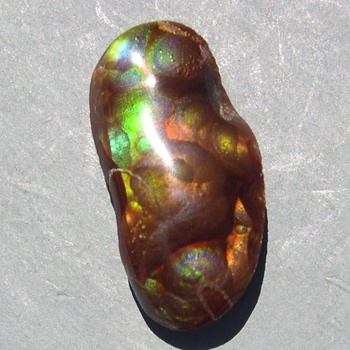 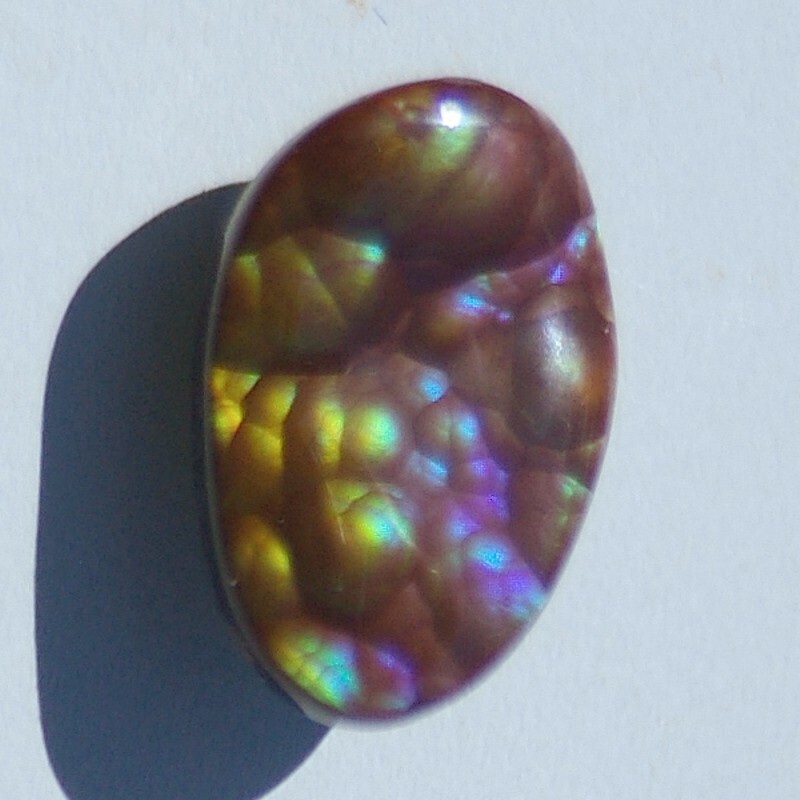 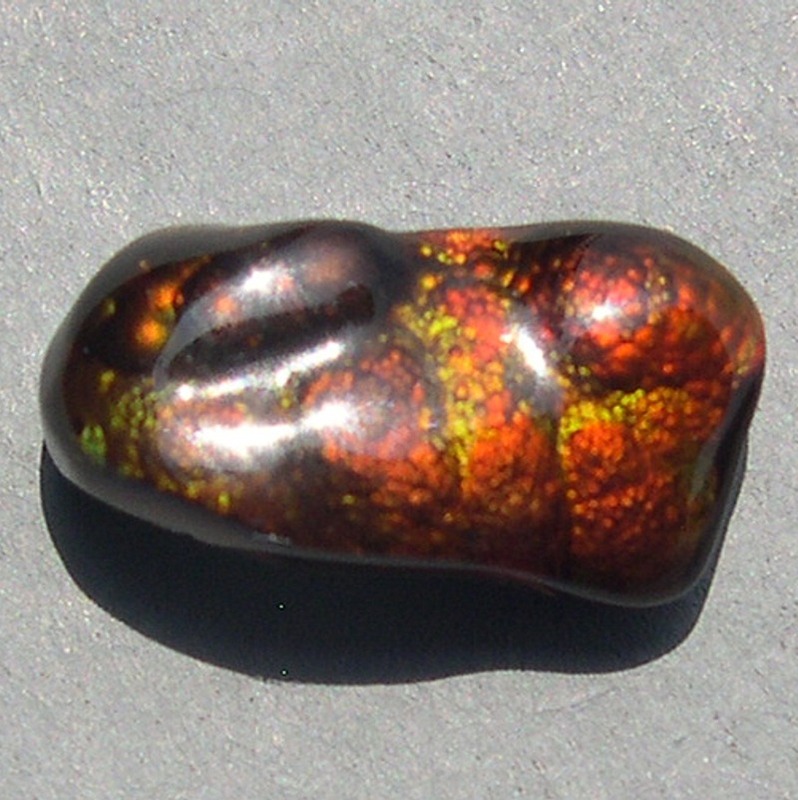 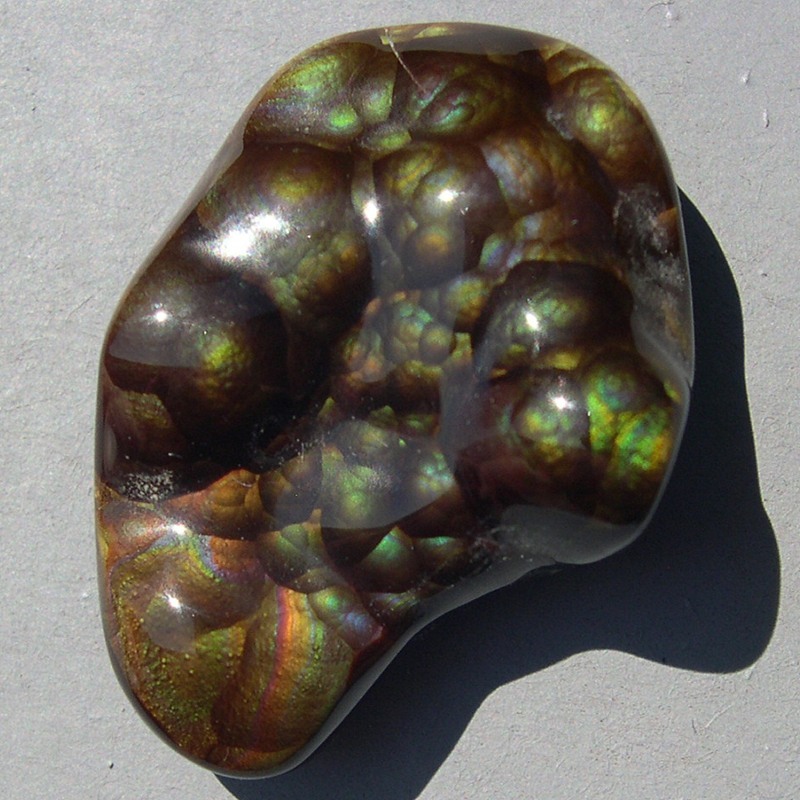 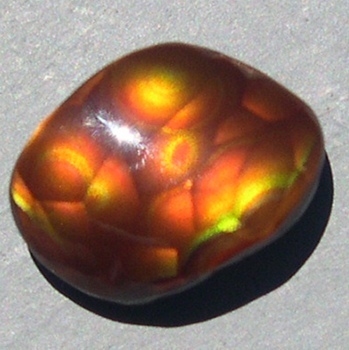 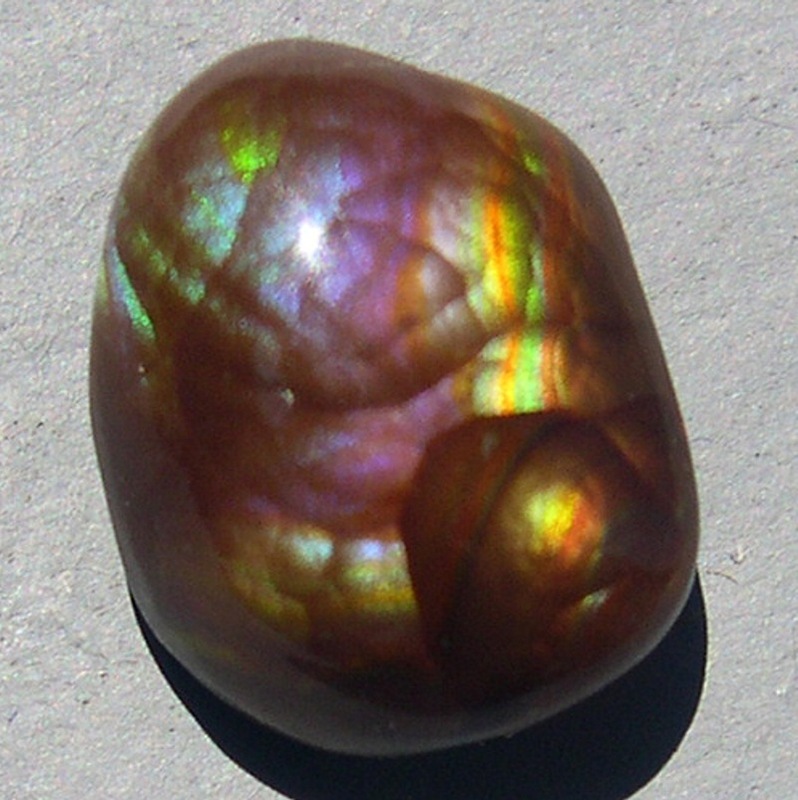 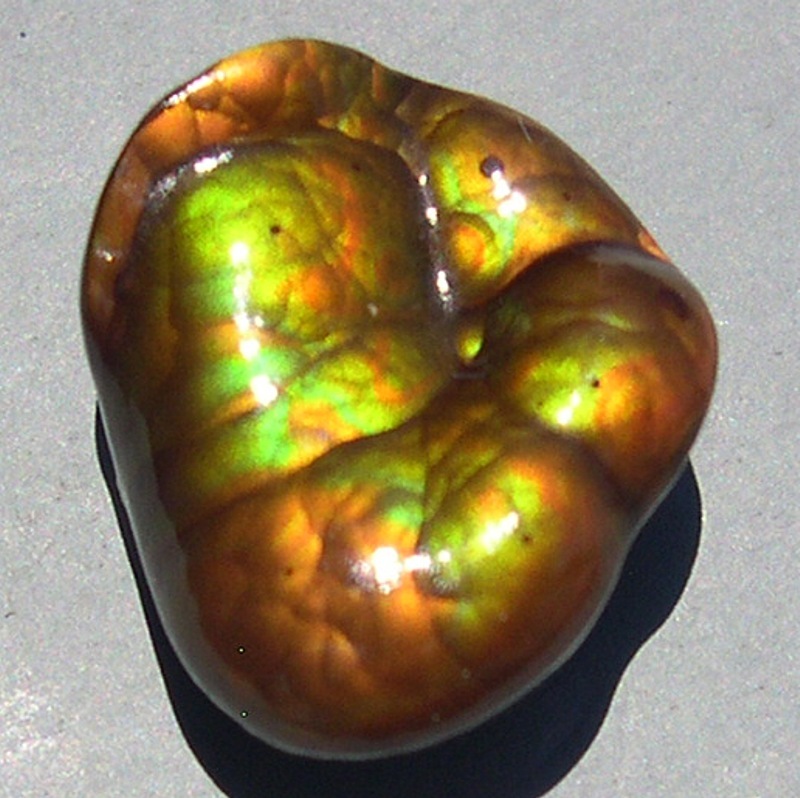 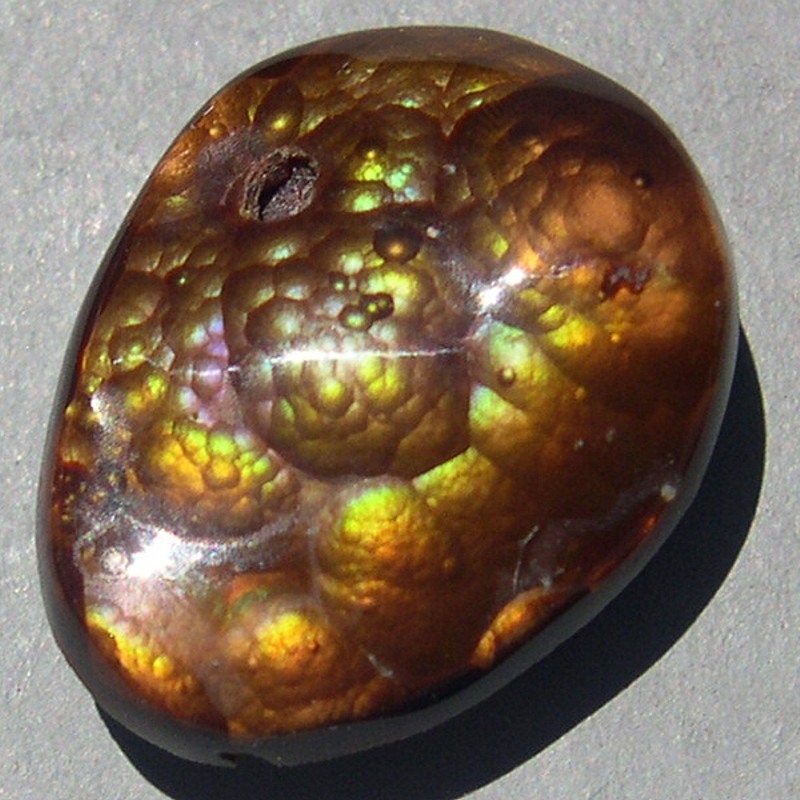 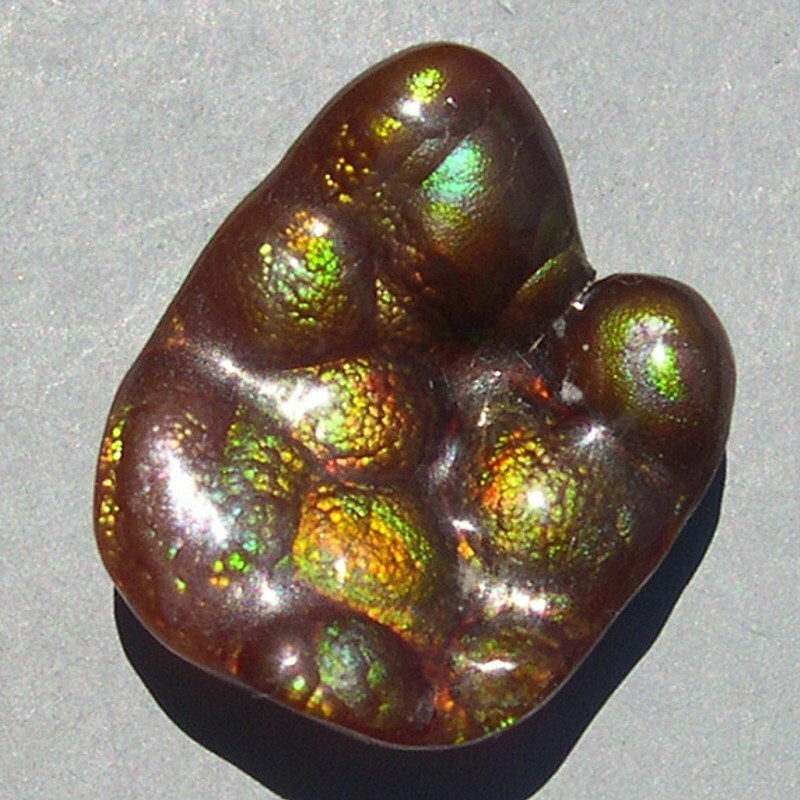 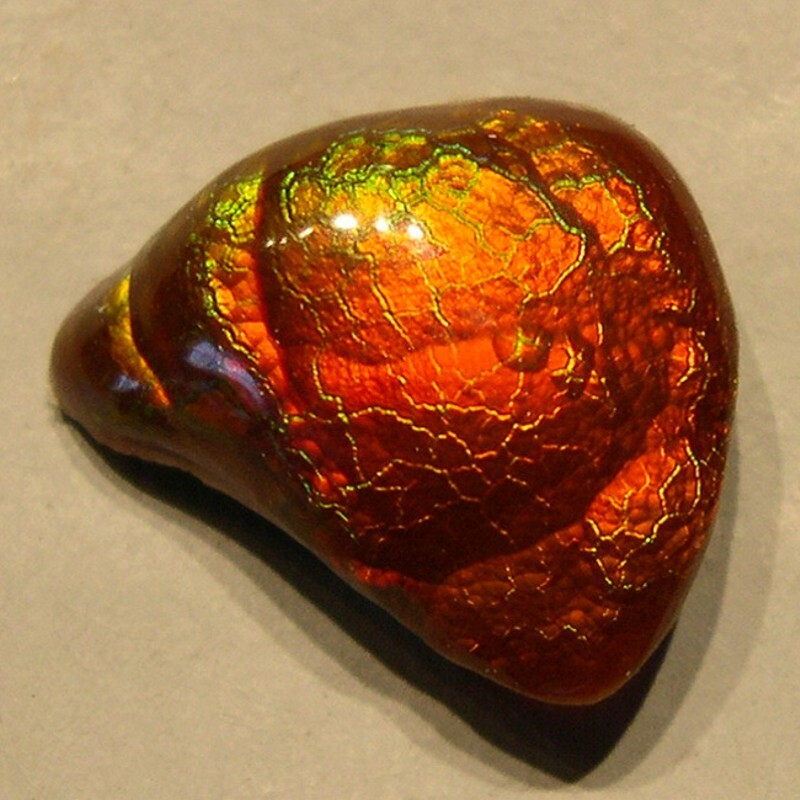 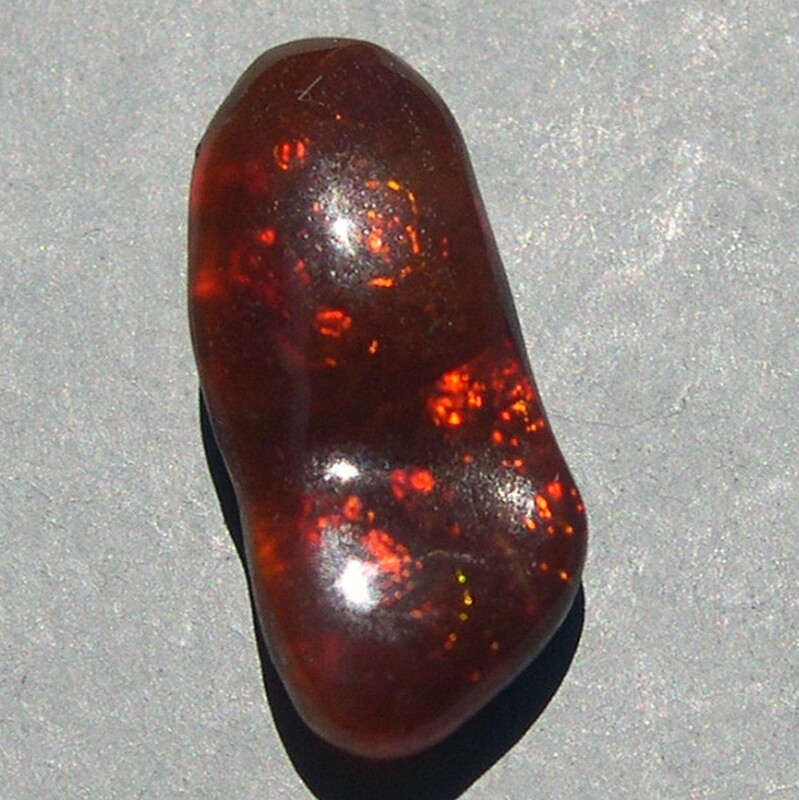 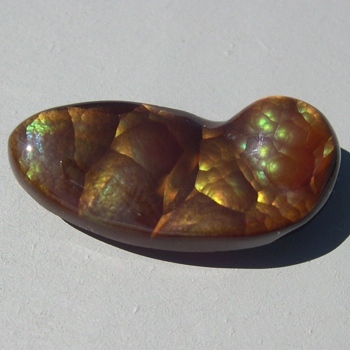 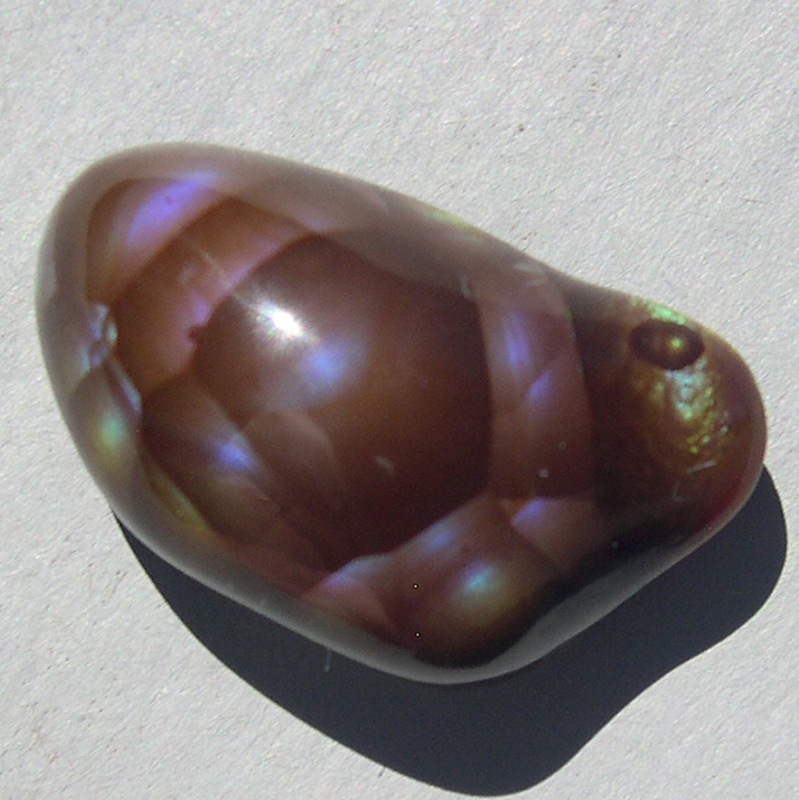 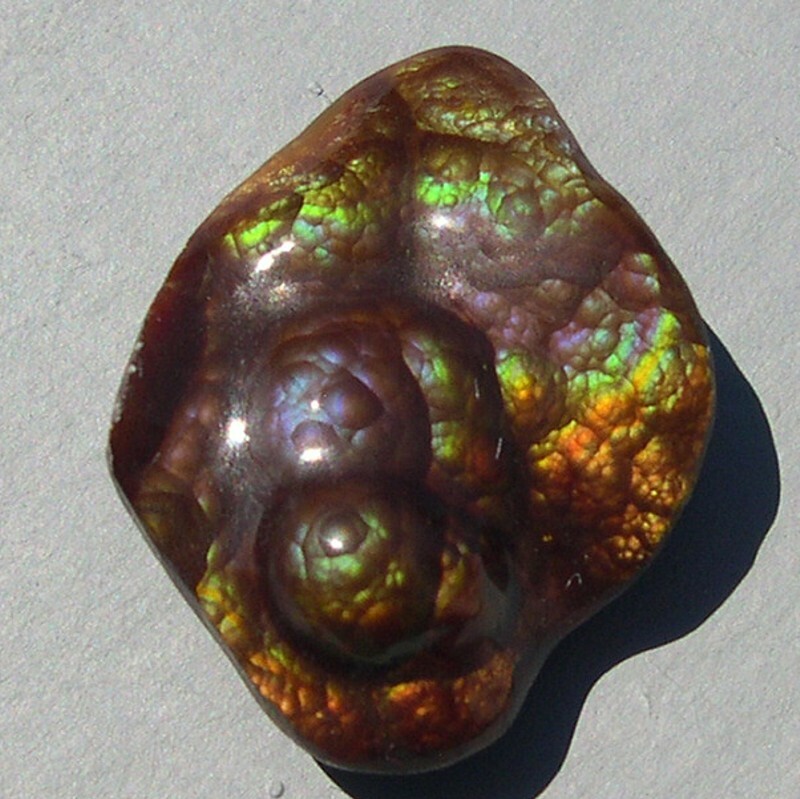 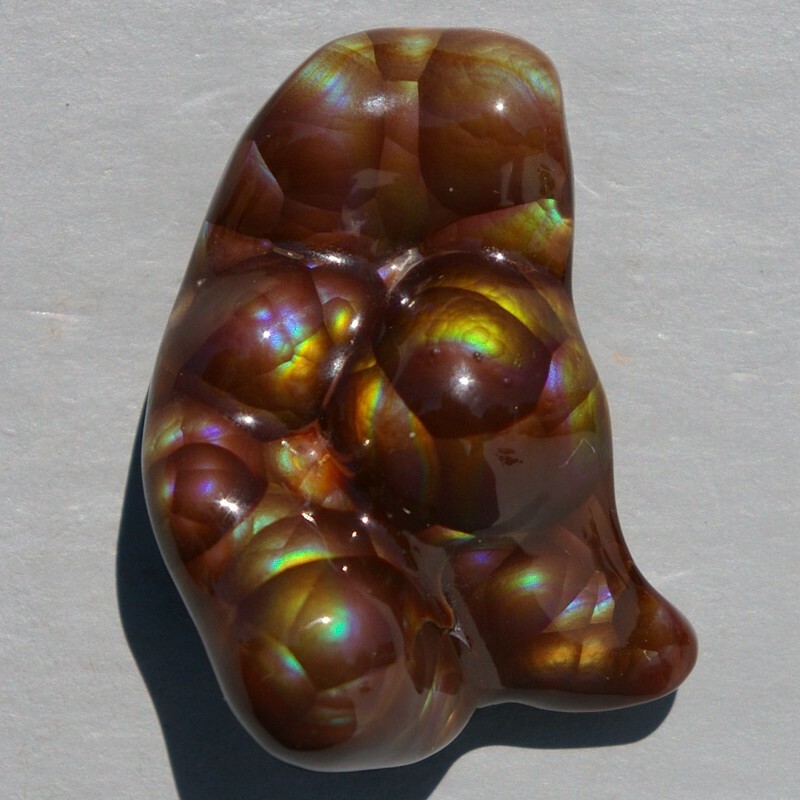 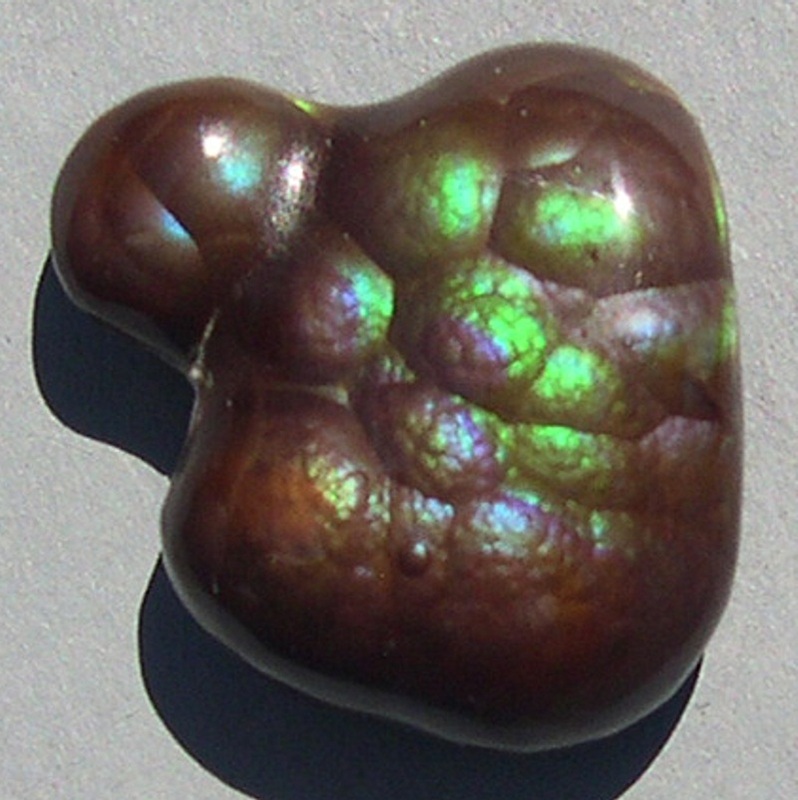 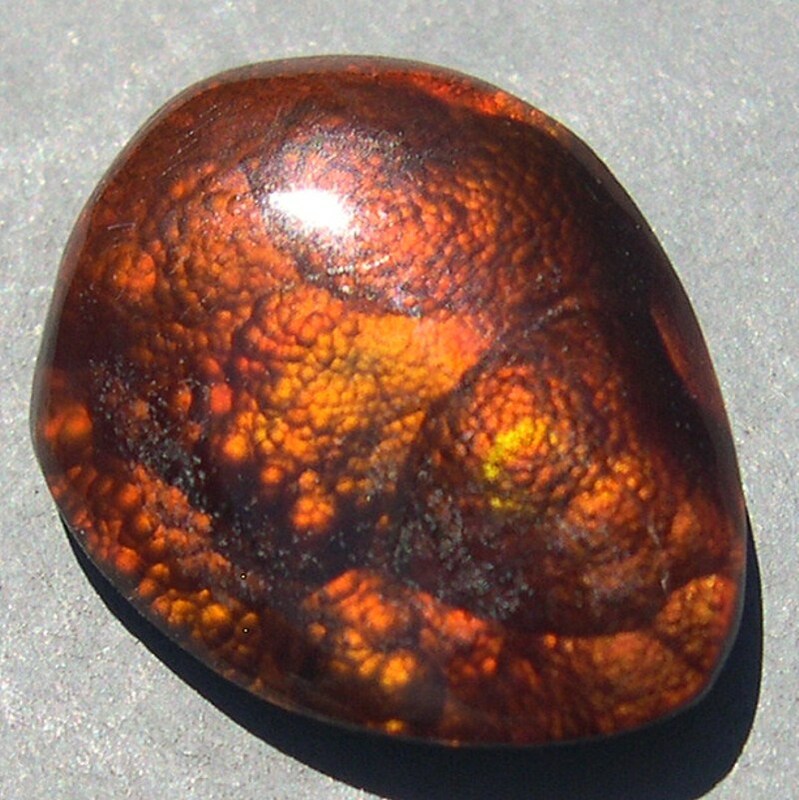 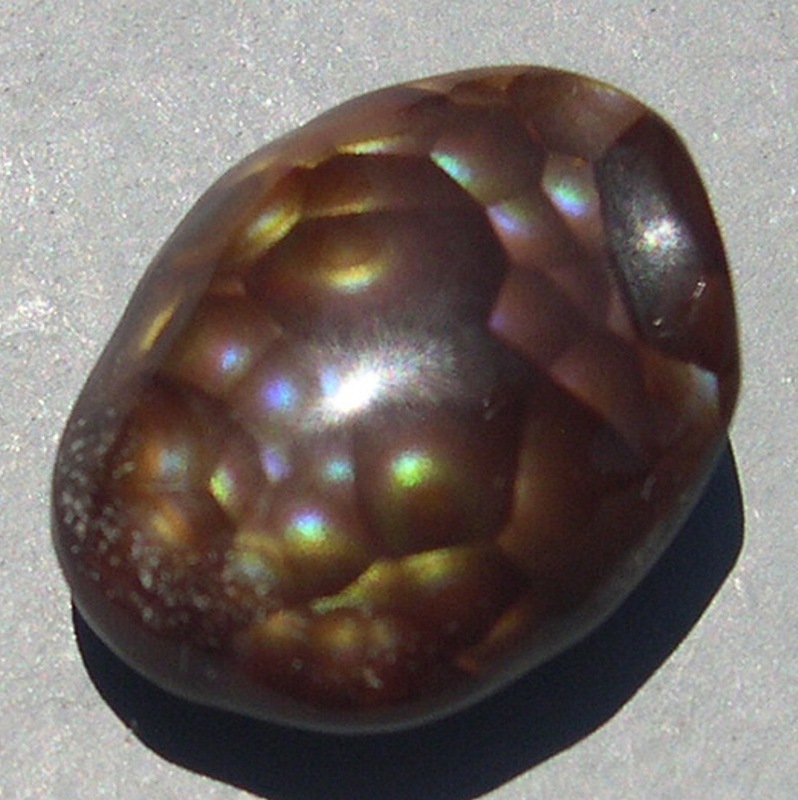 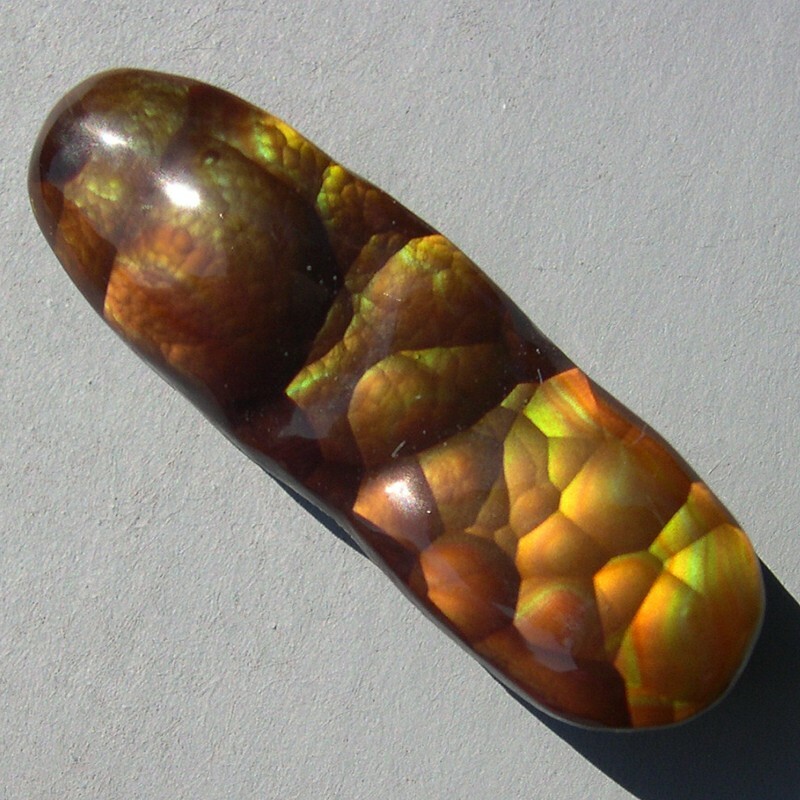 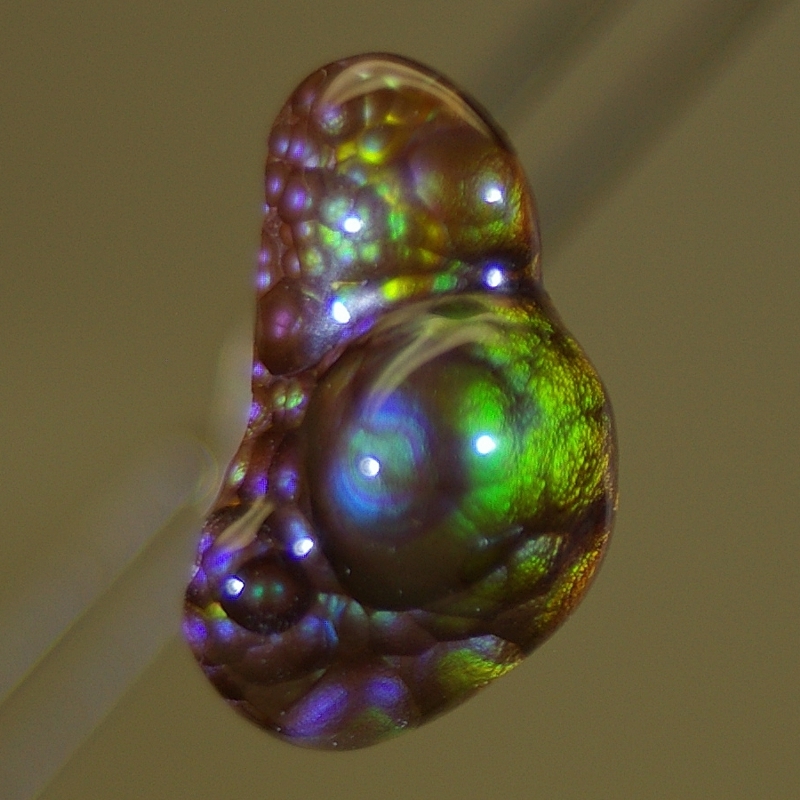 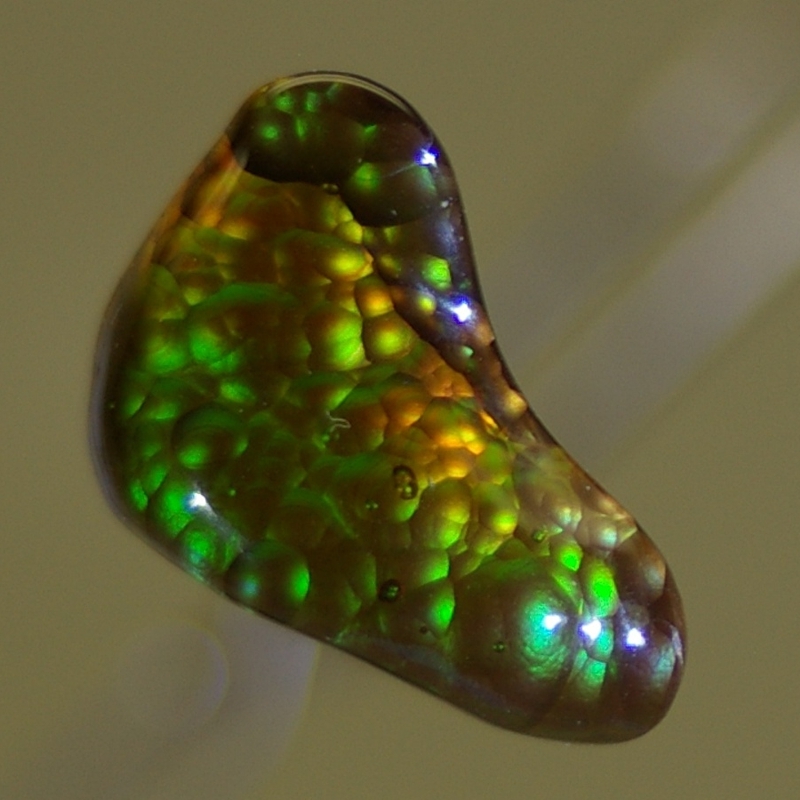 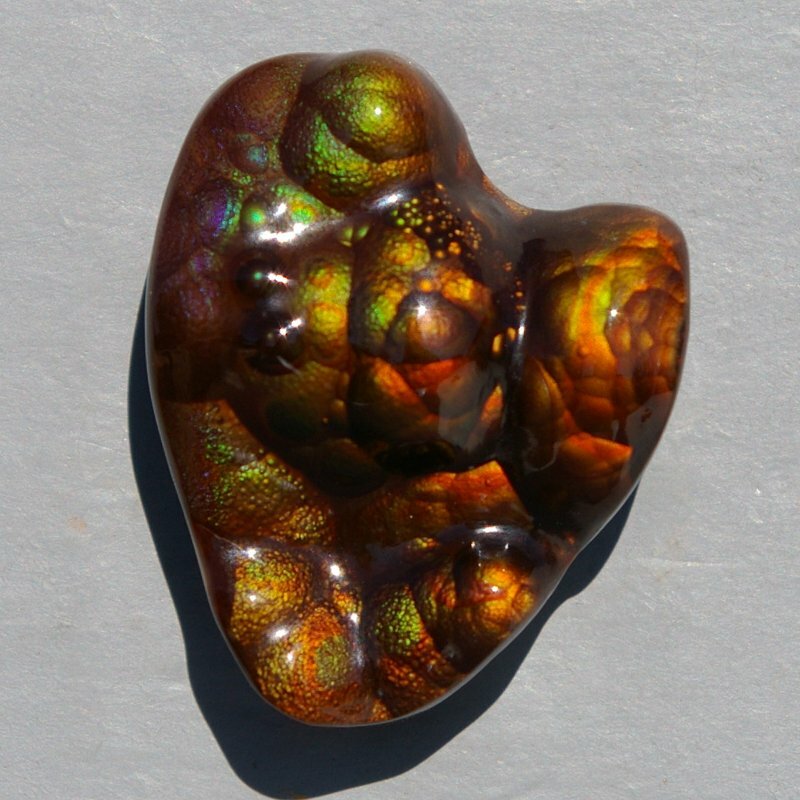 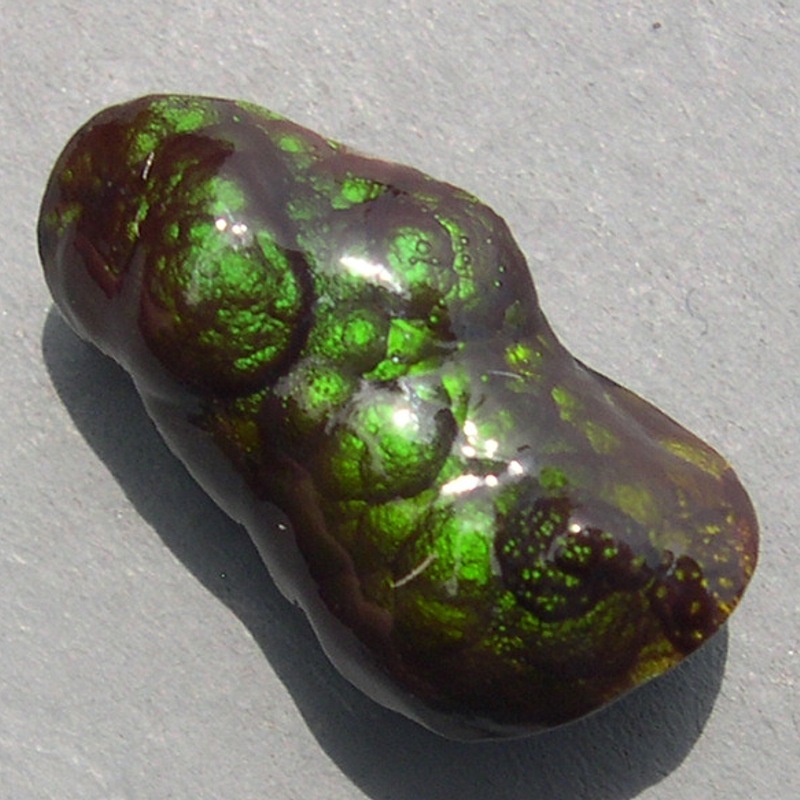 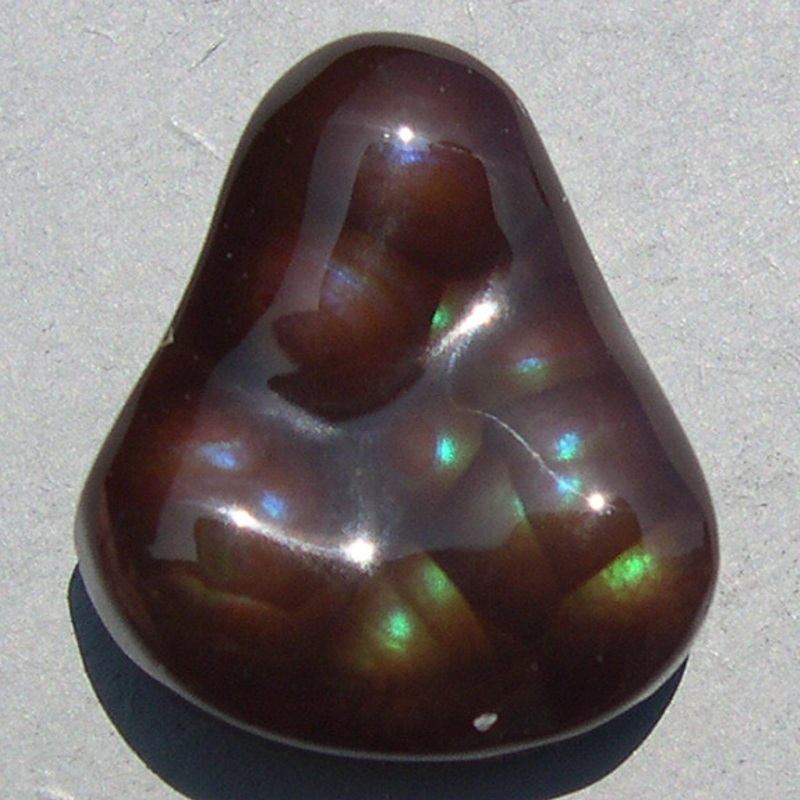 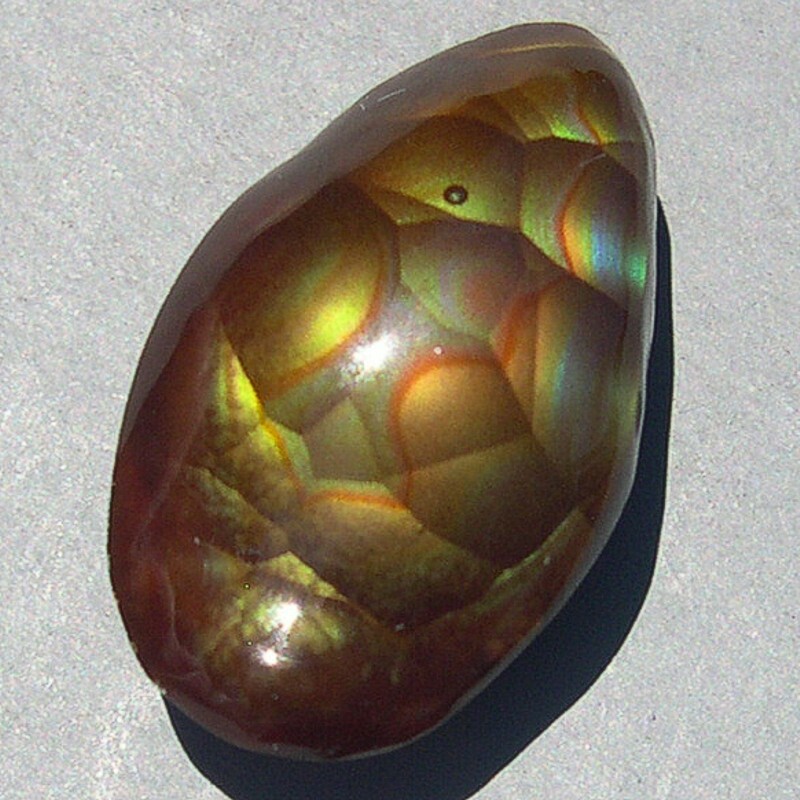 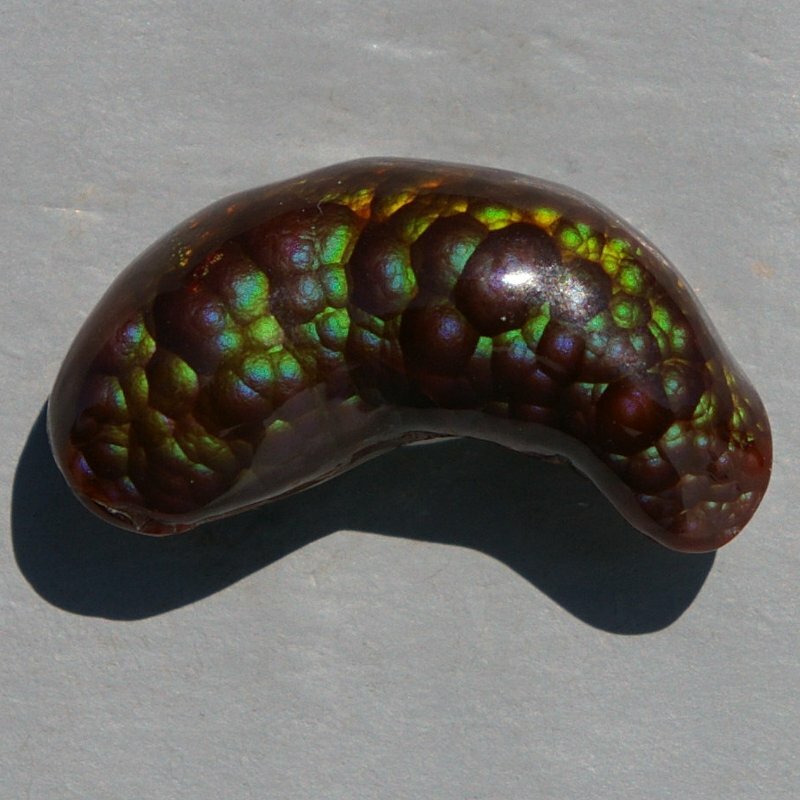 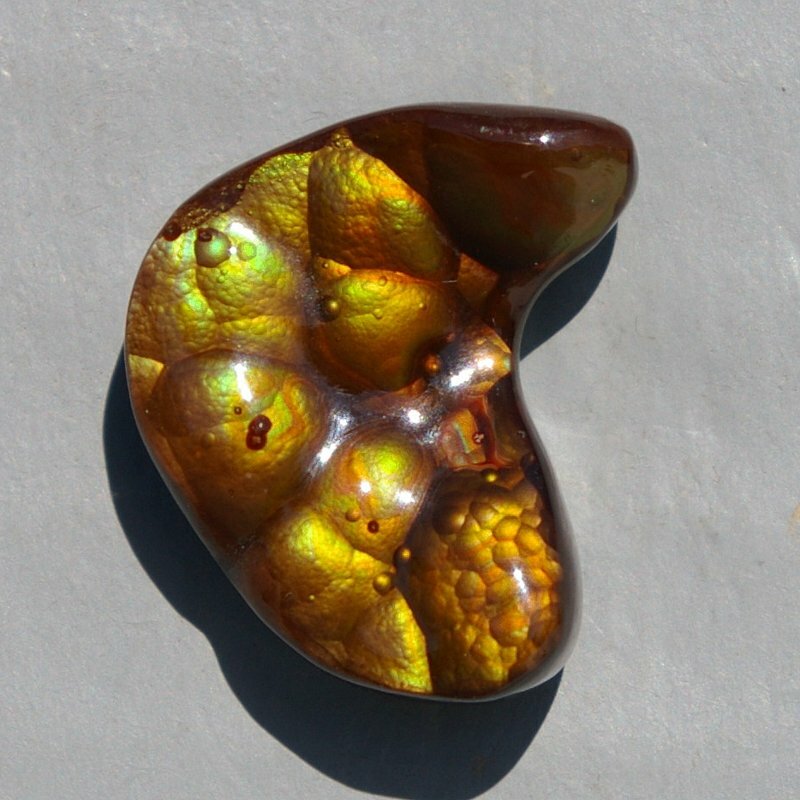 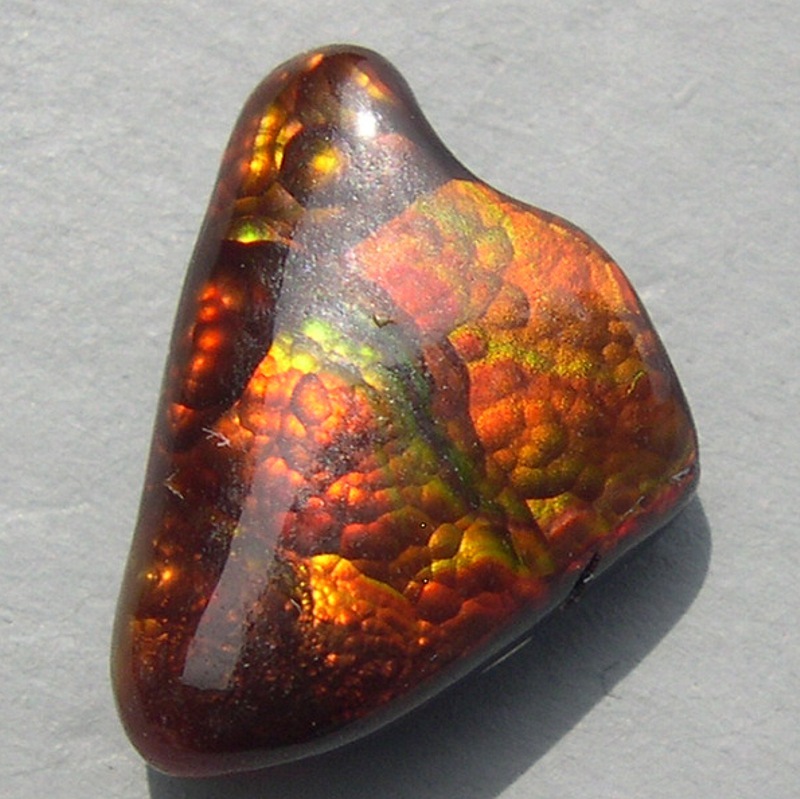 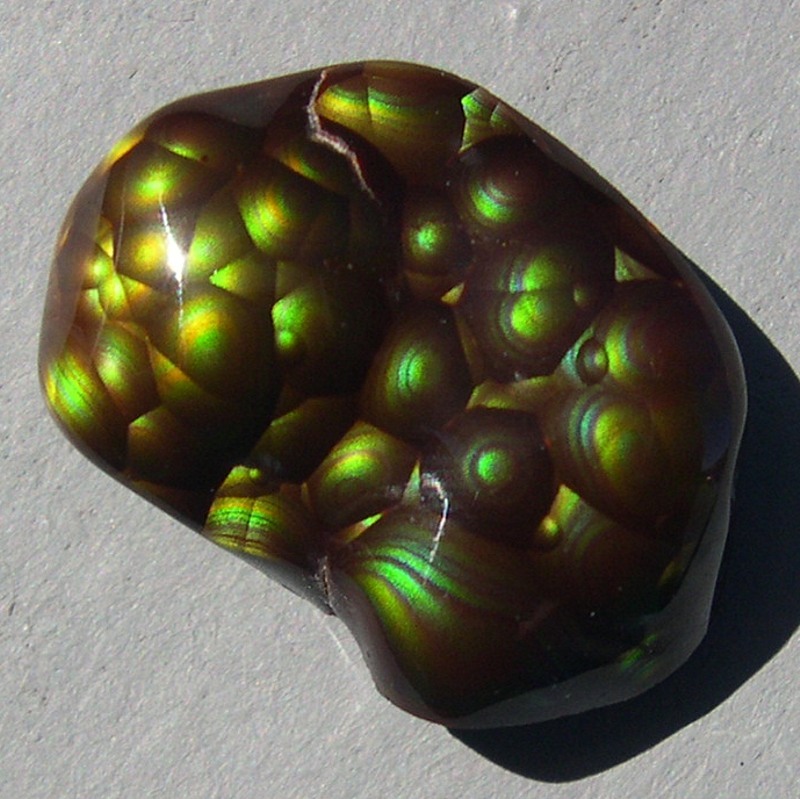 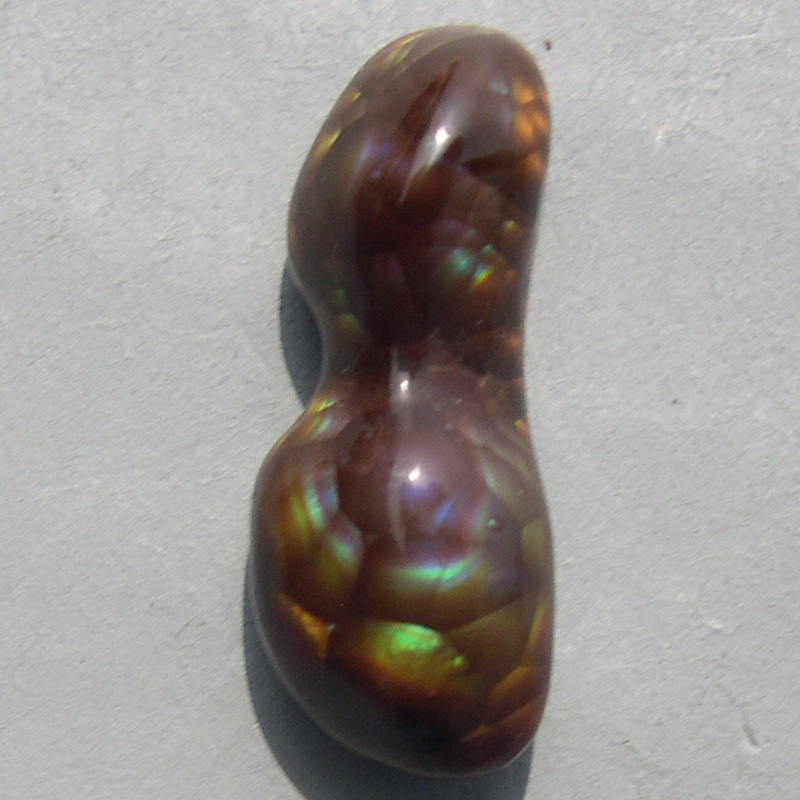 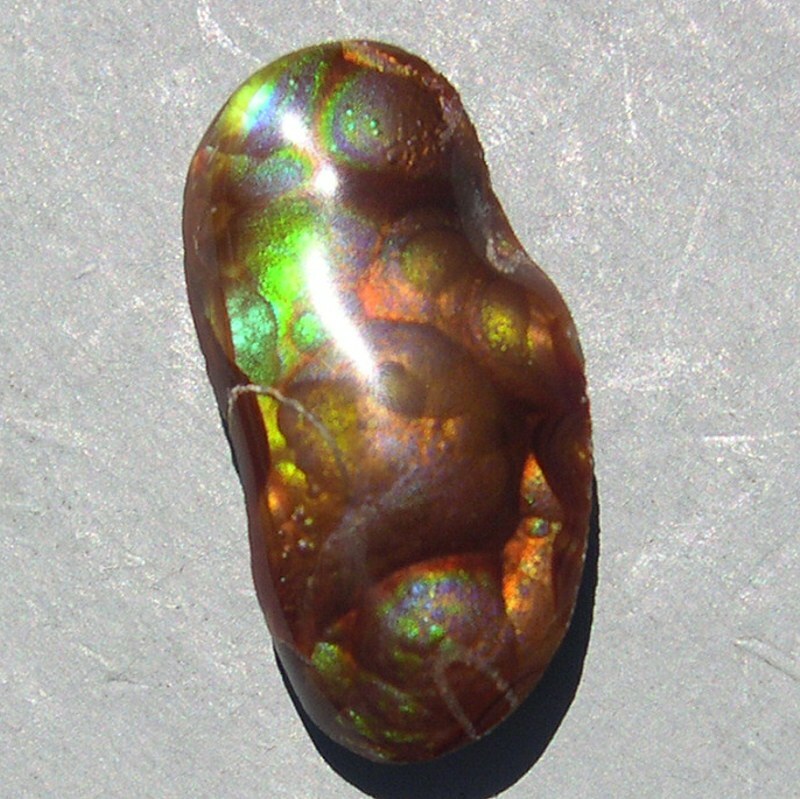 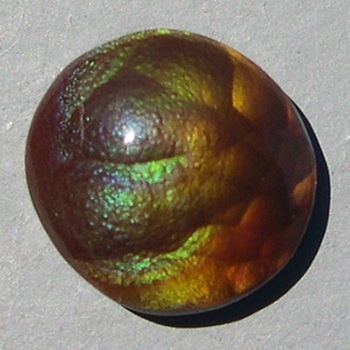 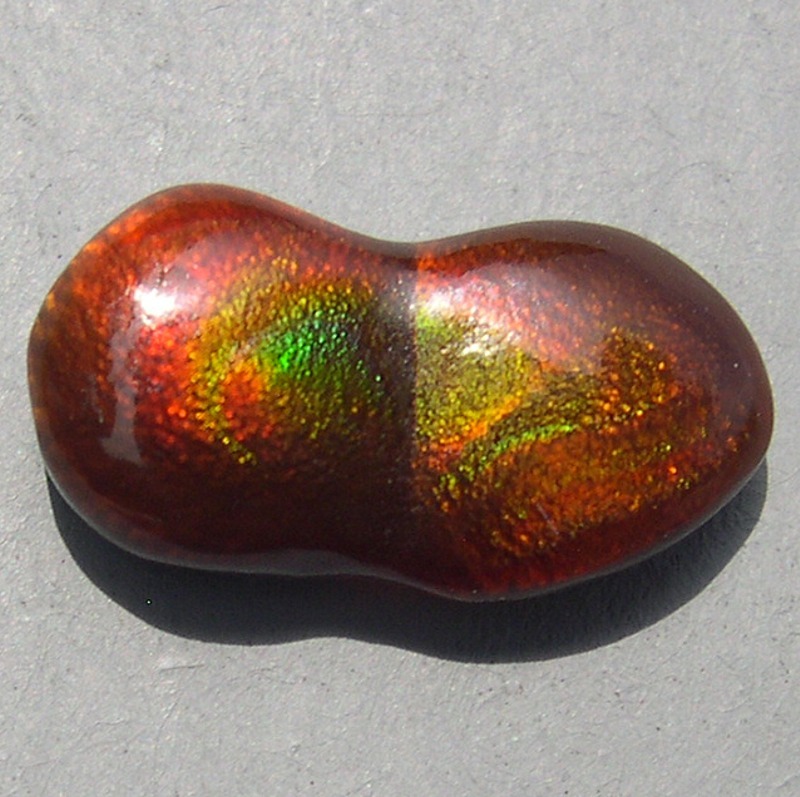 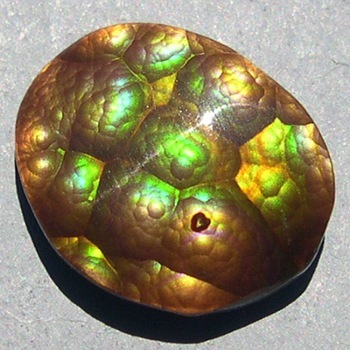 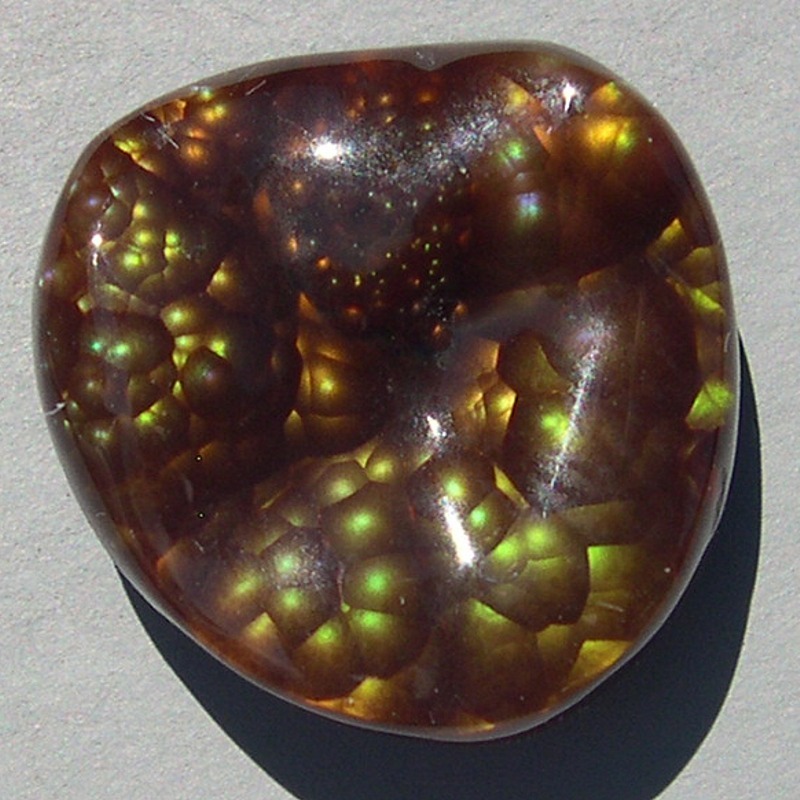 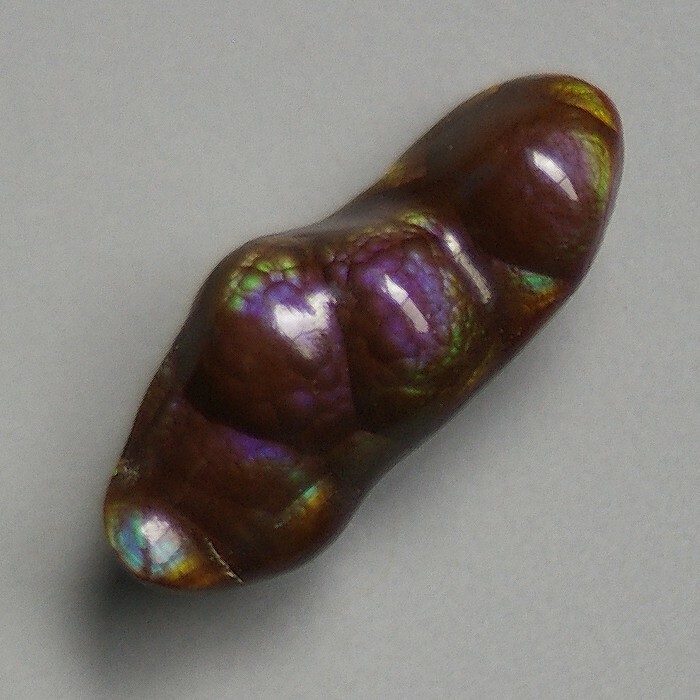 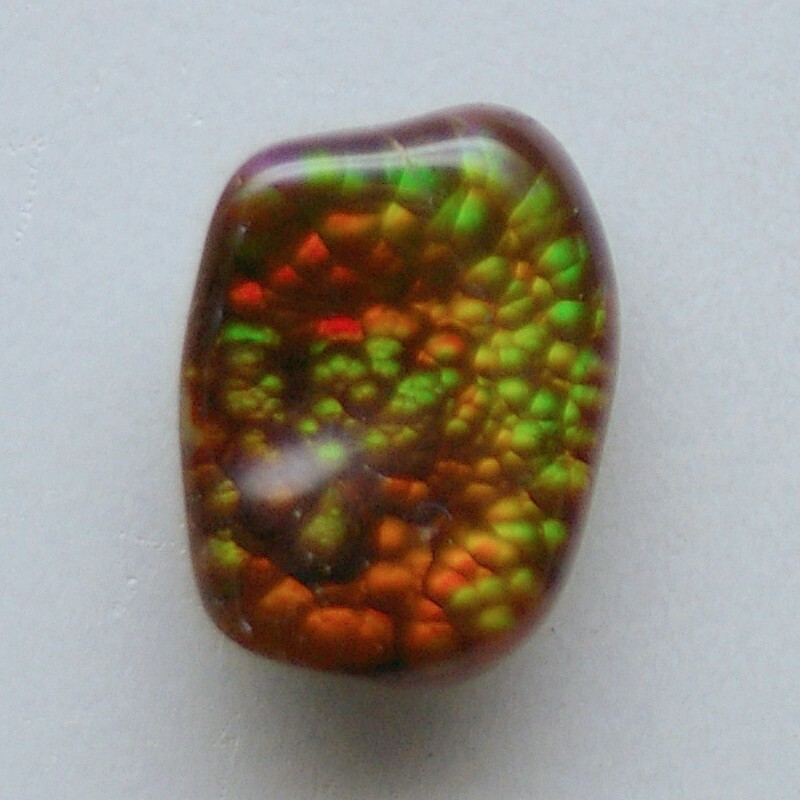 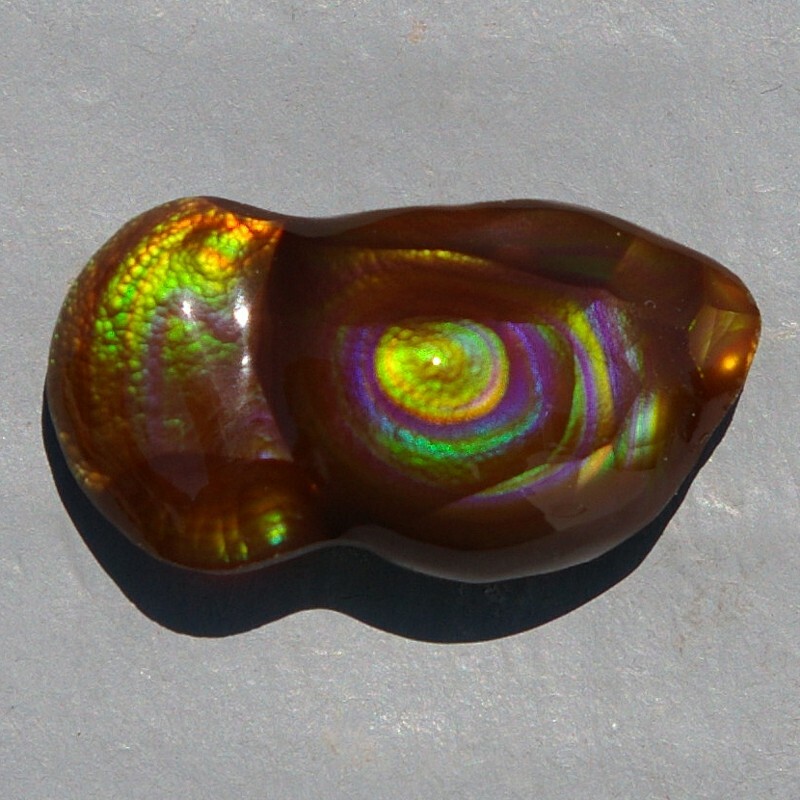 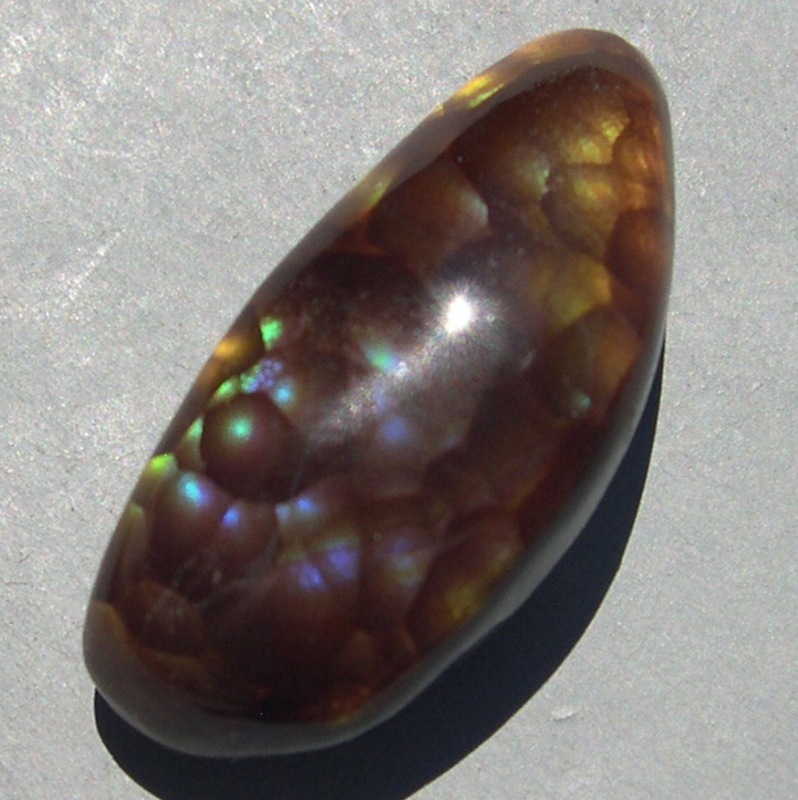 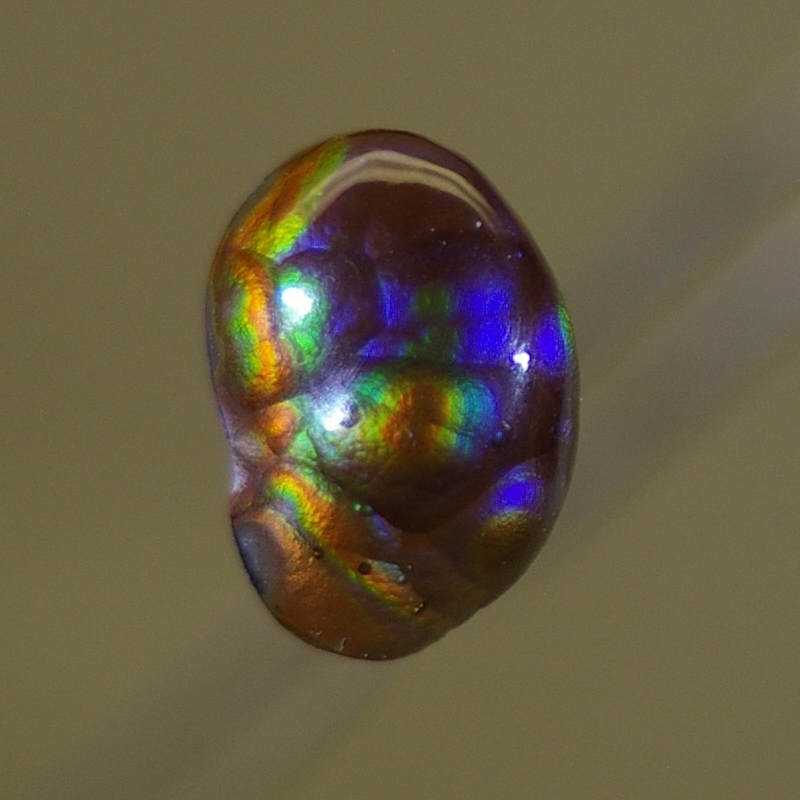 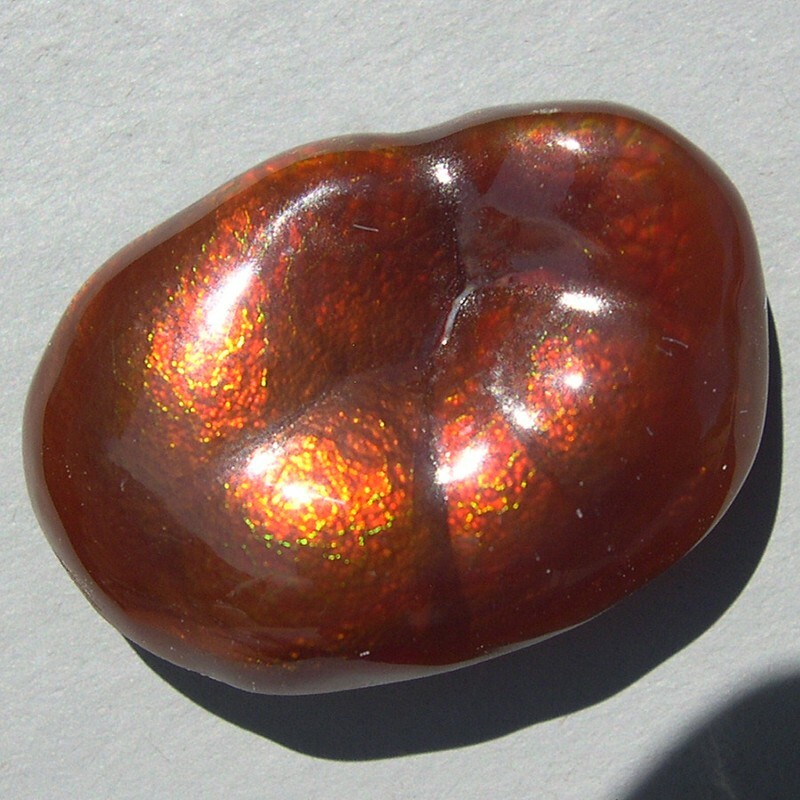 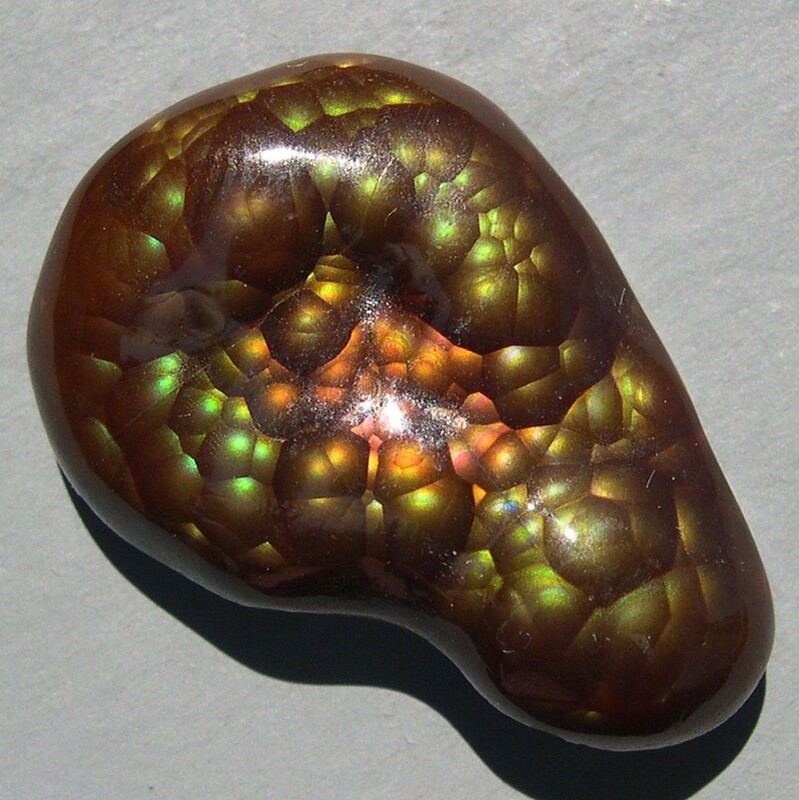 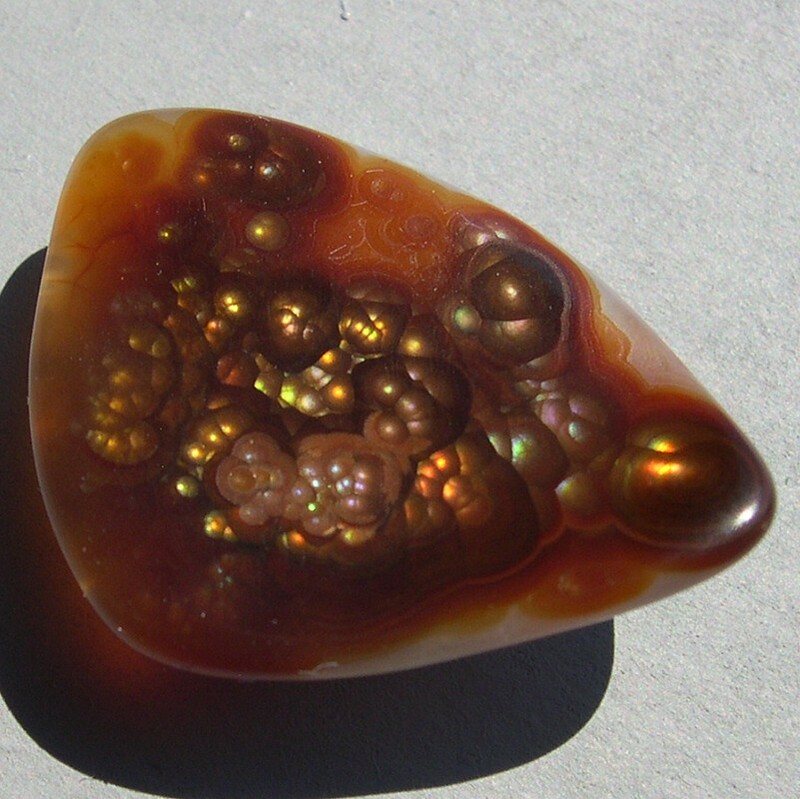 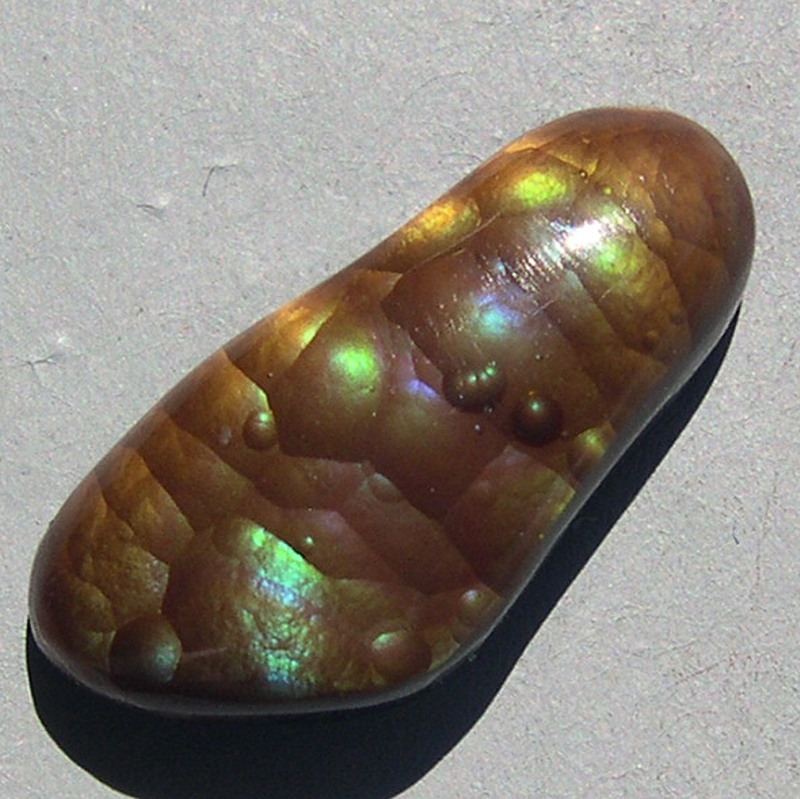 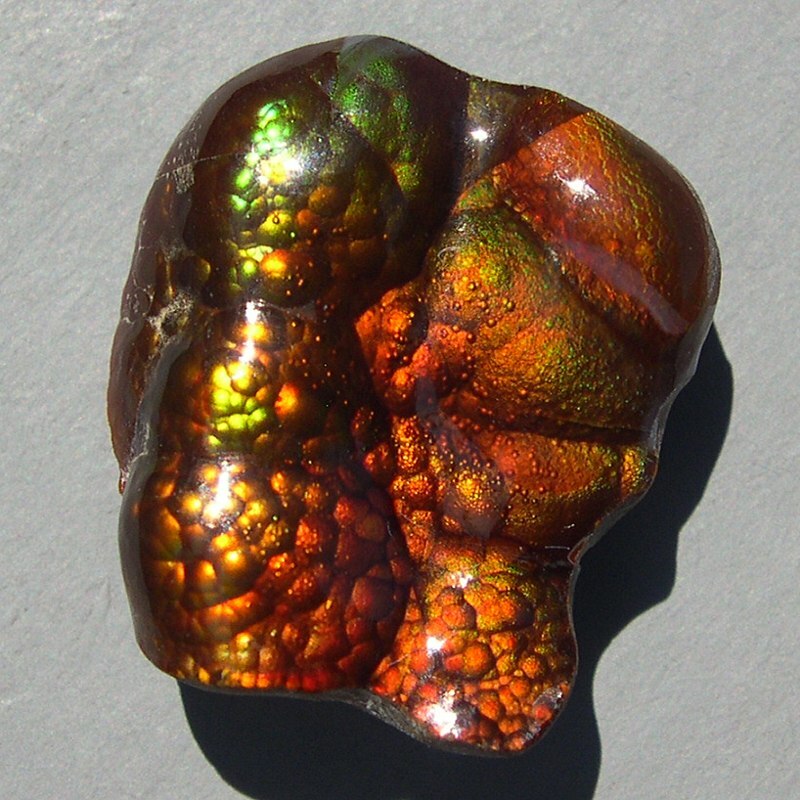 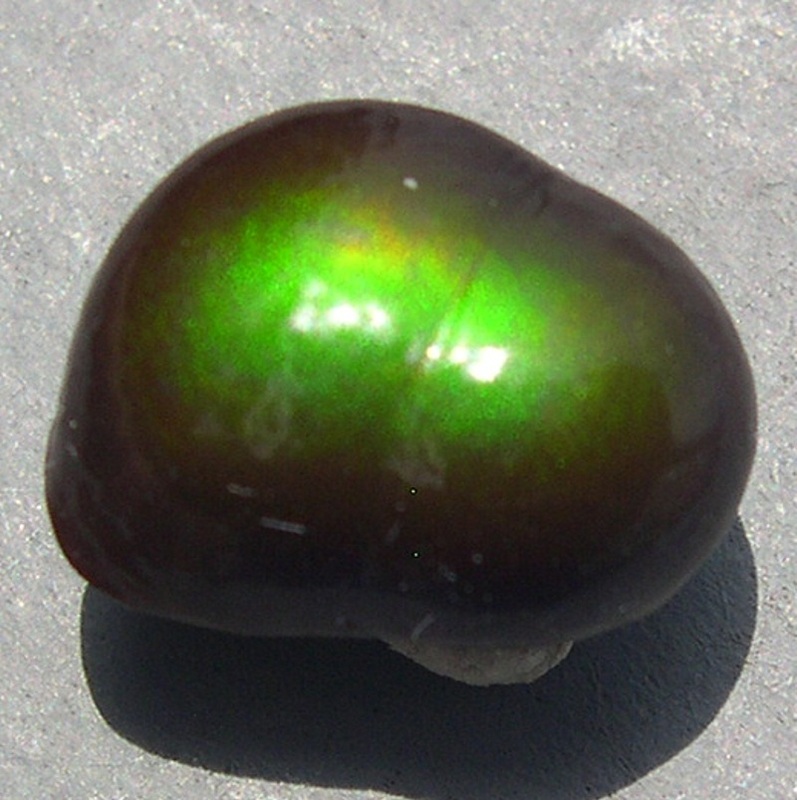 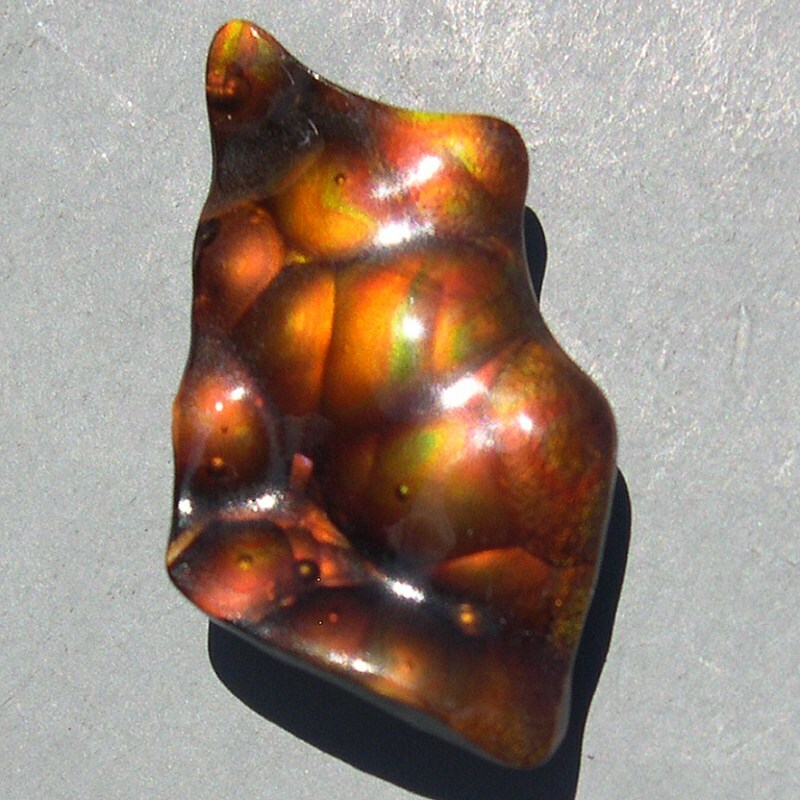 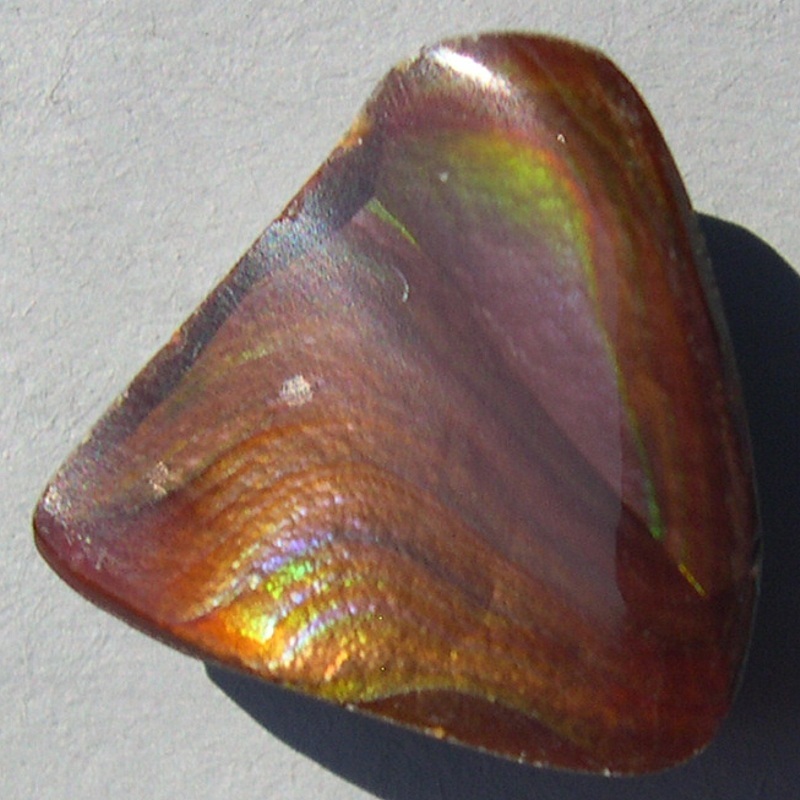 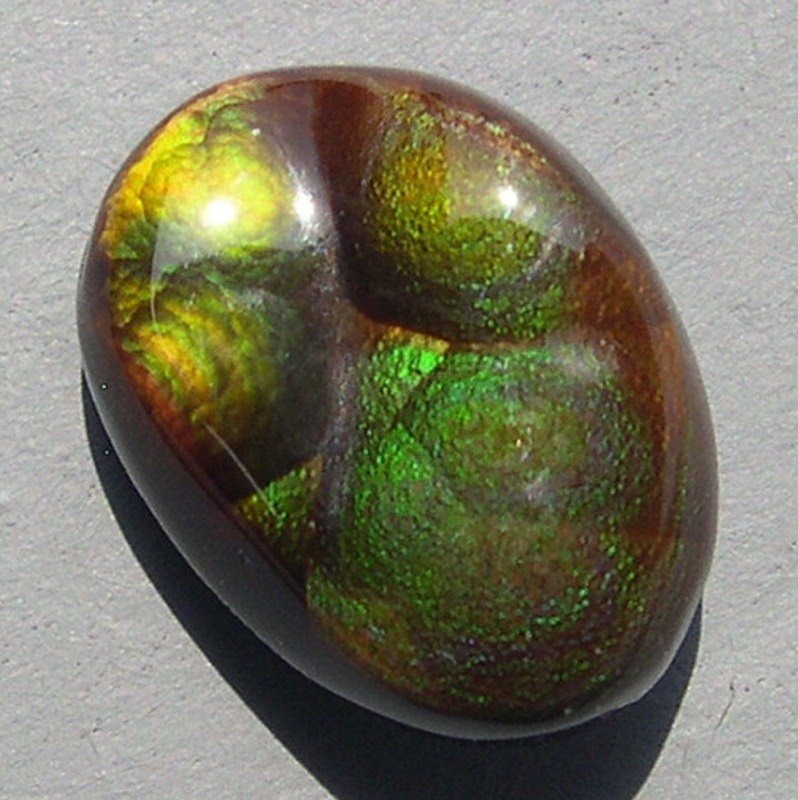 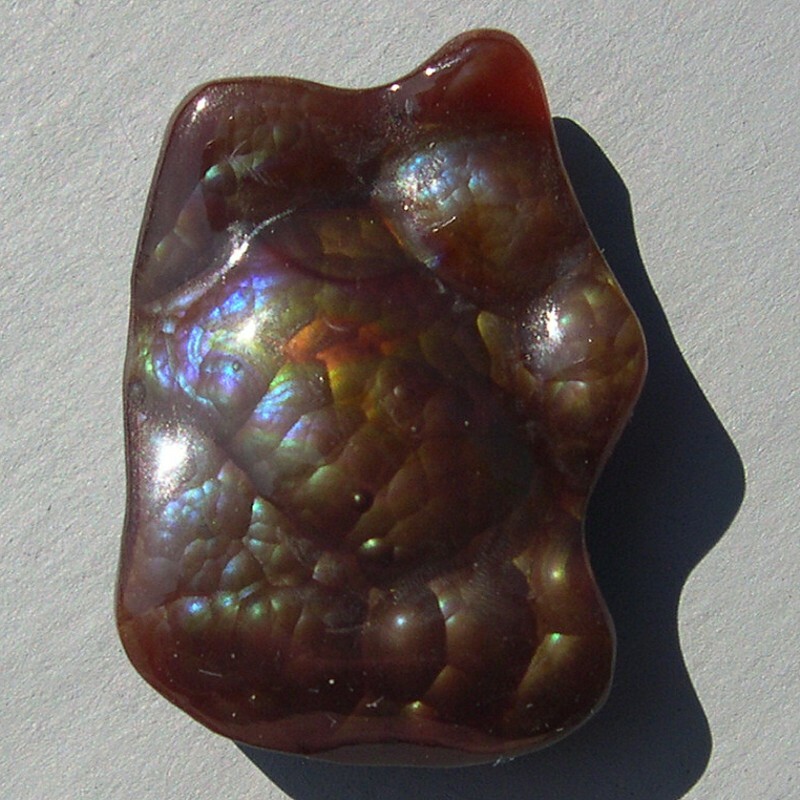 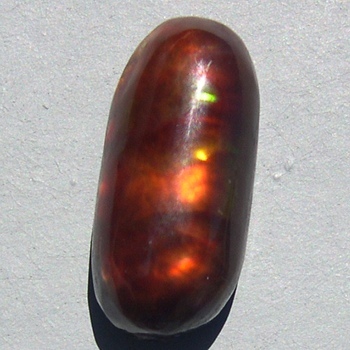 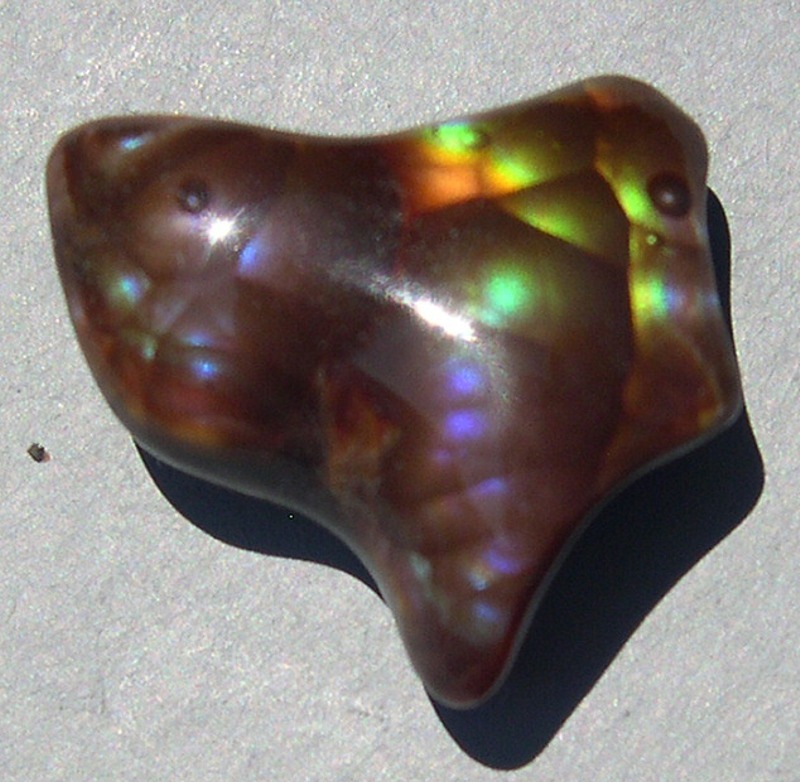 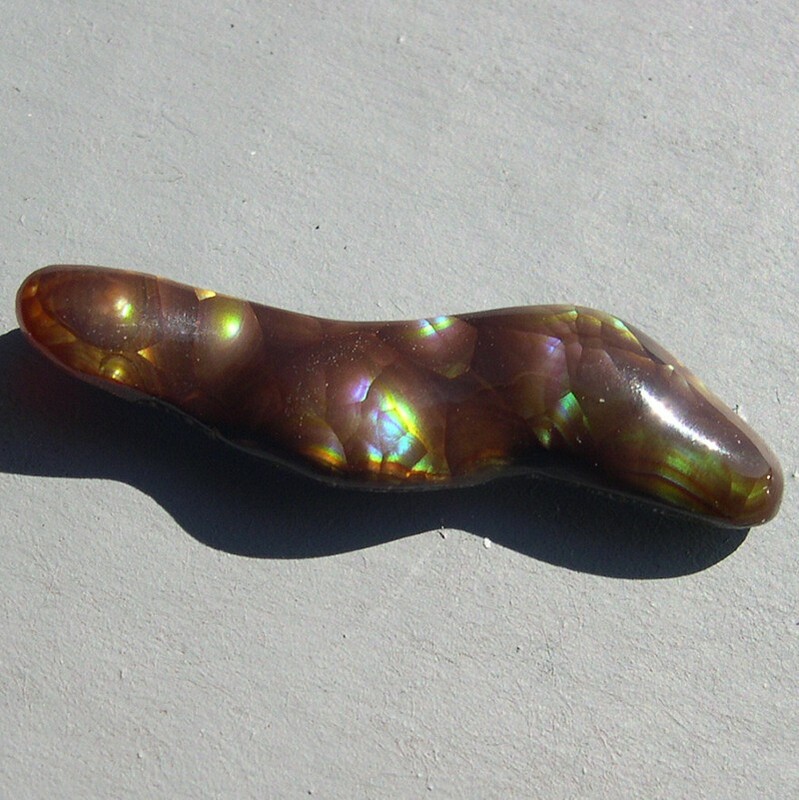 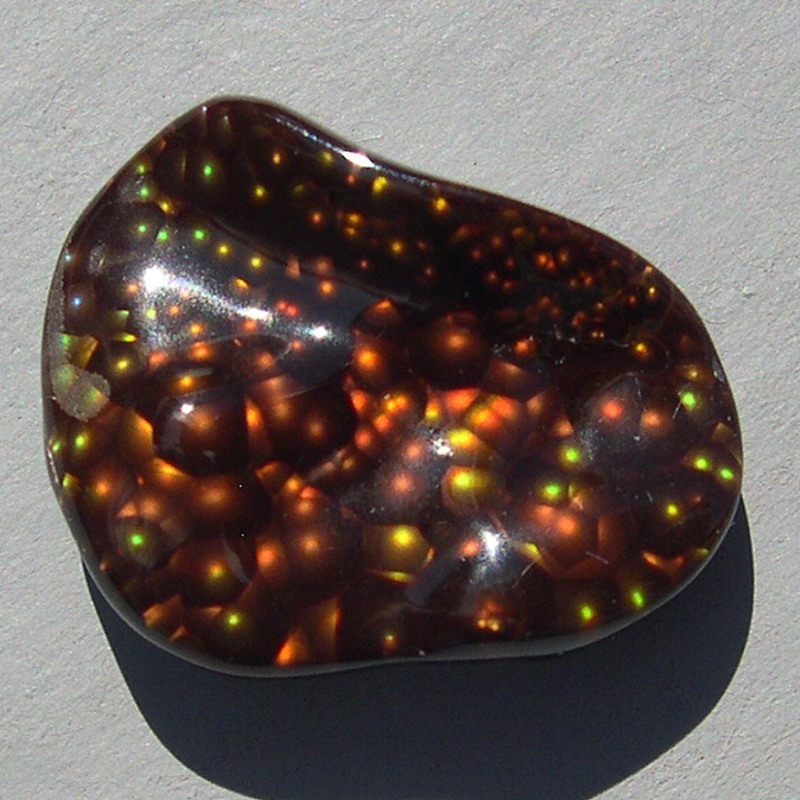 When Suzi and I moved south in New Mexico in 2001 and had settled in to our new location in this wonderful state it came to my attention that we were in fact in fire agate country. 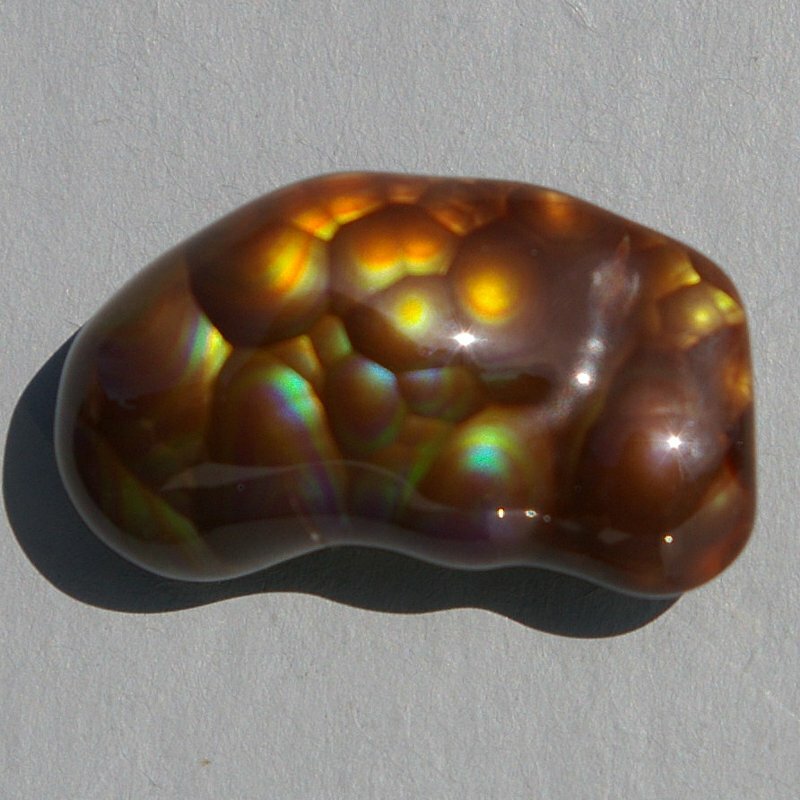 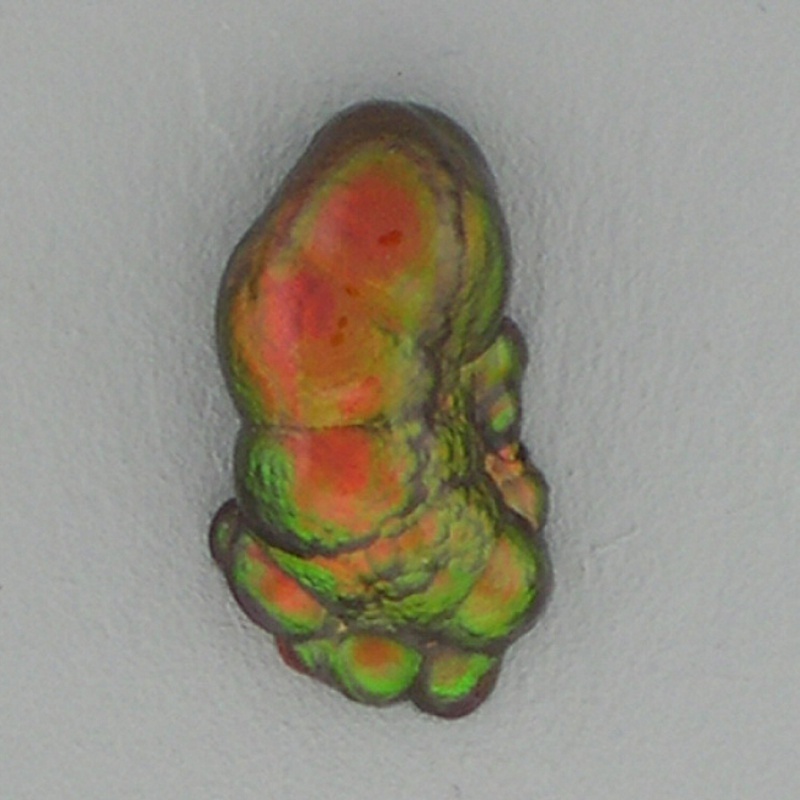 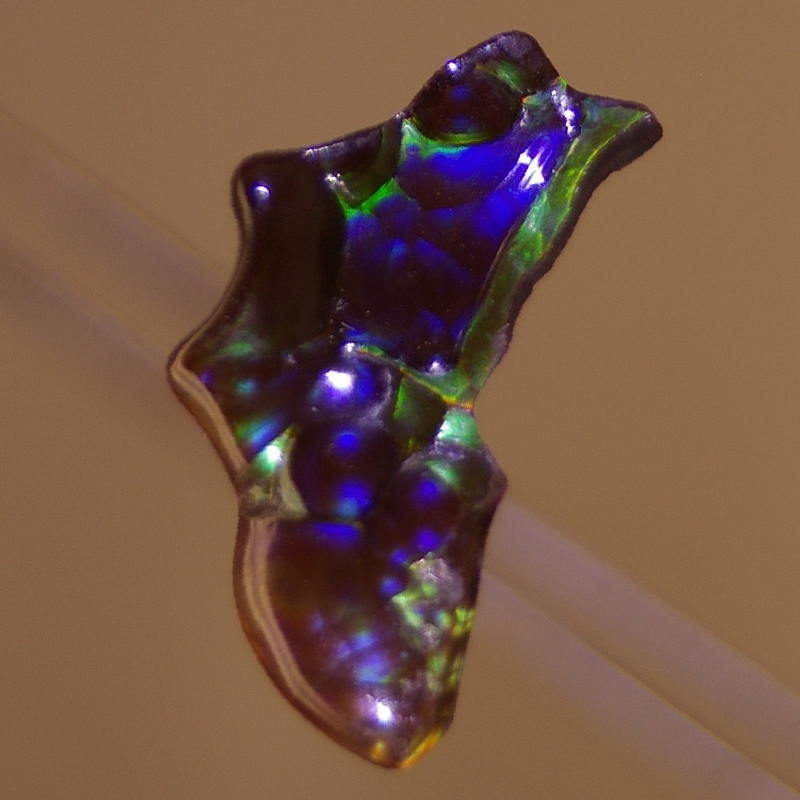 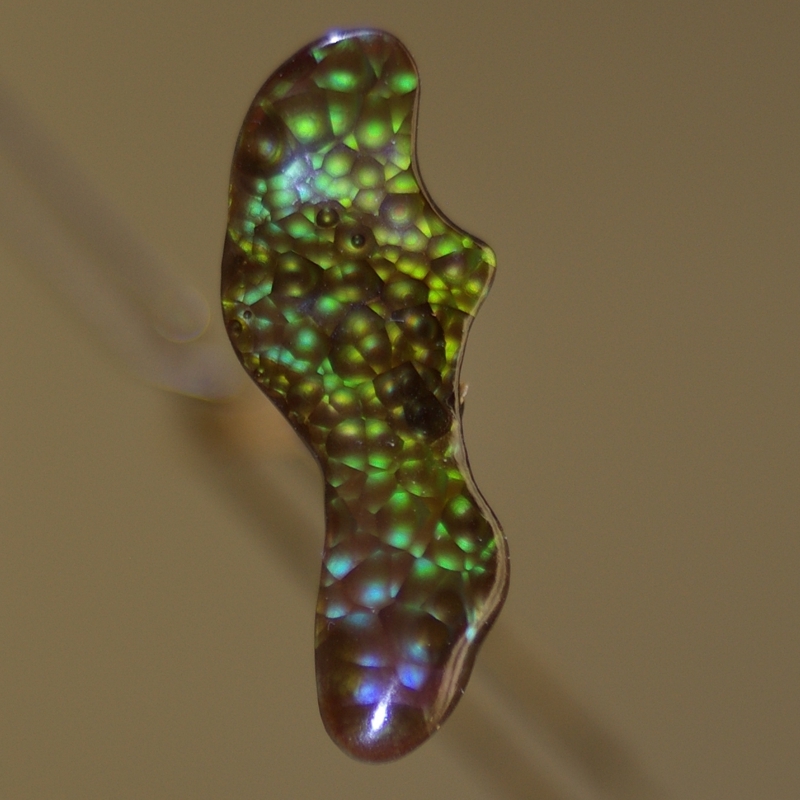 Being a life long Opal cutter because of the wonderful color play I found a fascination with this newly available stone, nice thing I could go out in the hills and find fire agate rough with some undiscovered deposits within 20 miles from the house in a straight line. 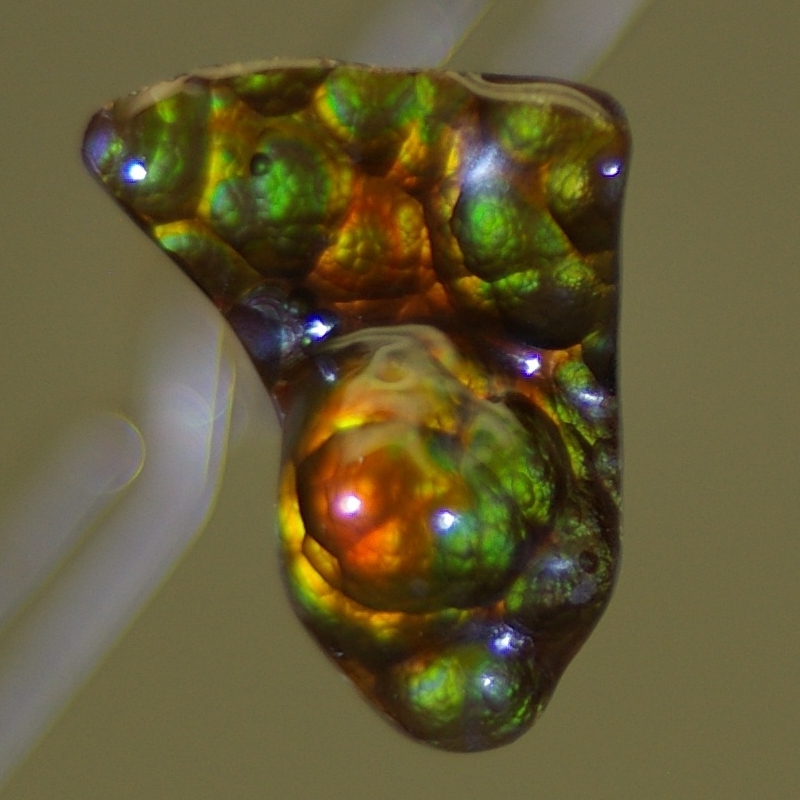 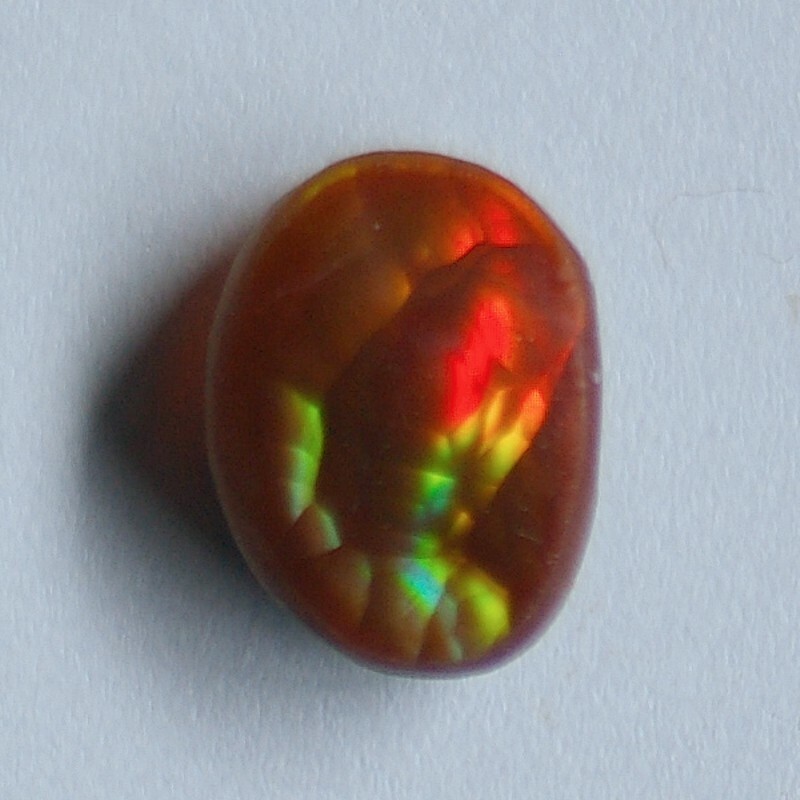 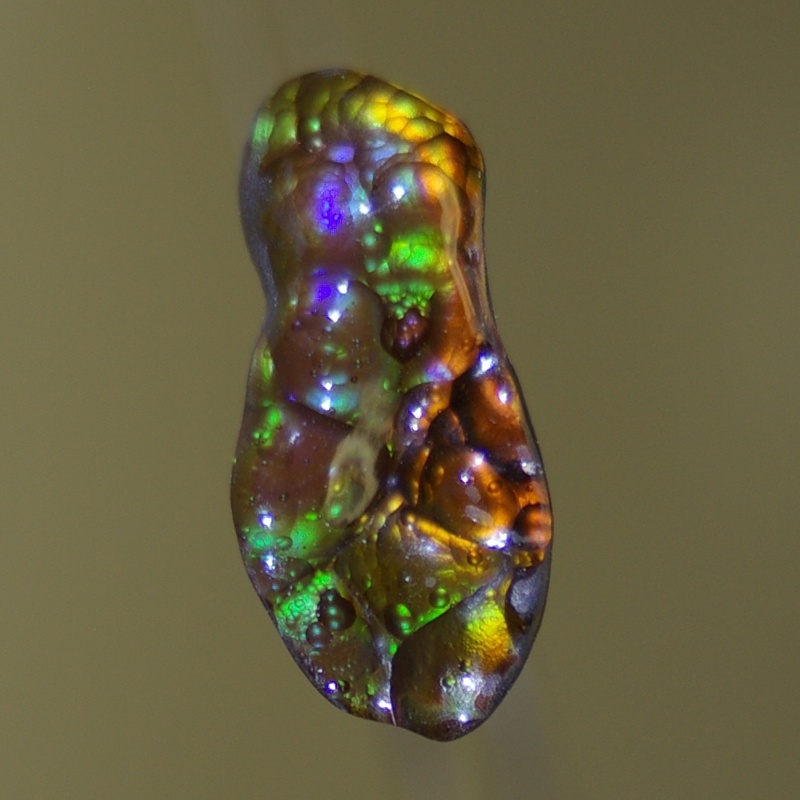 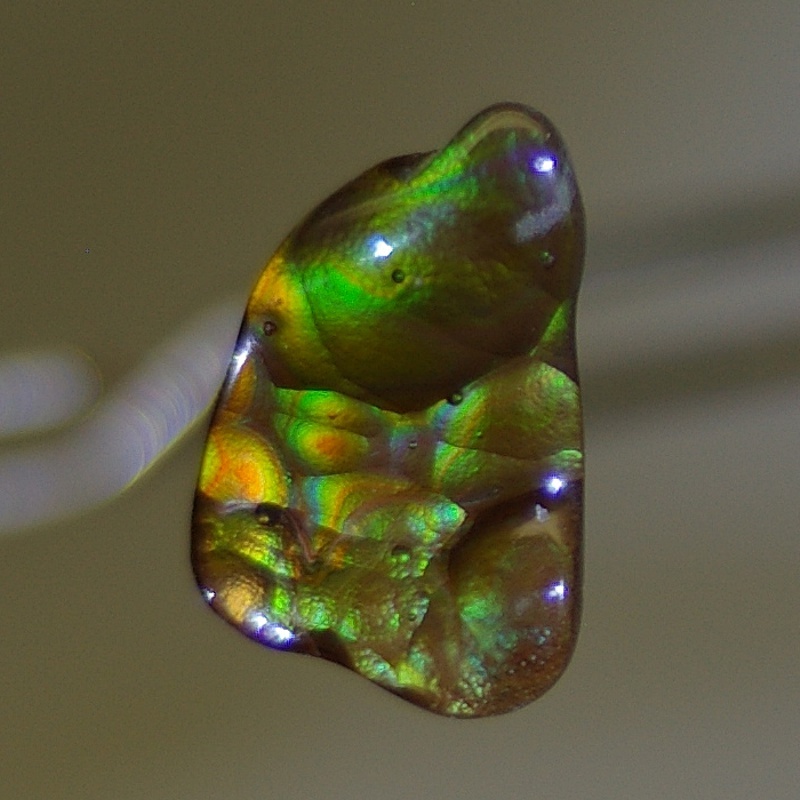 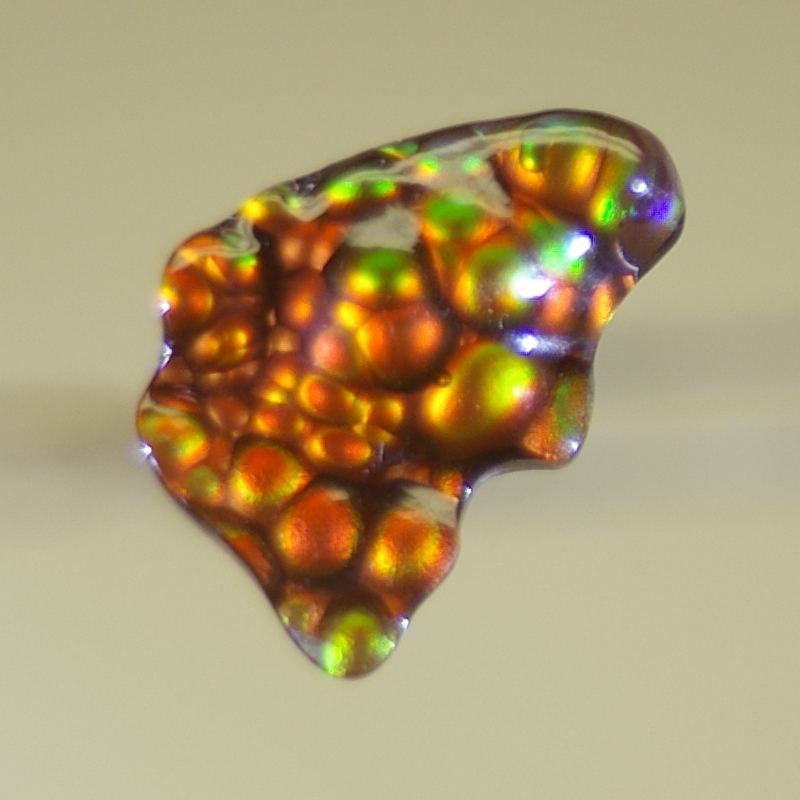 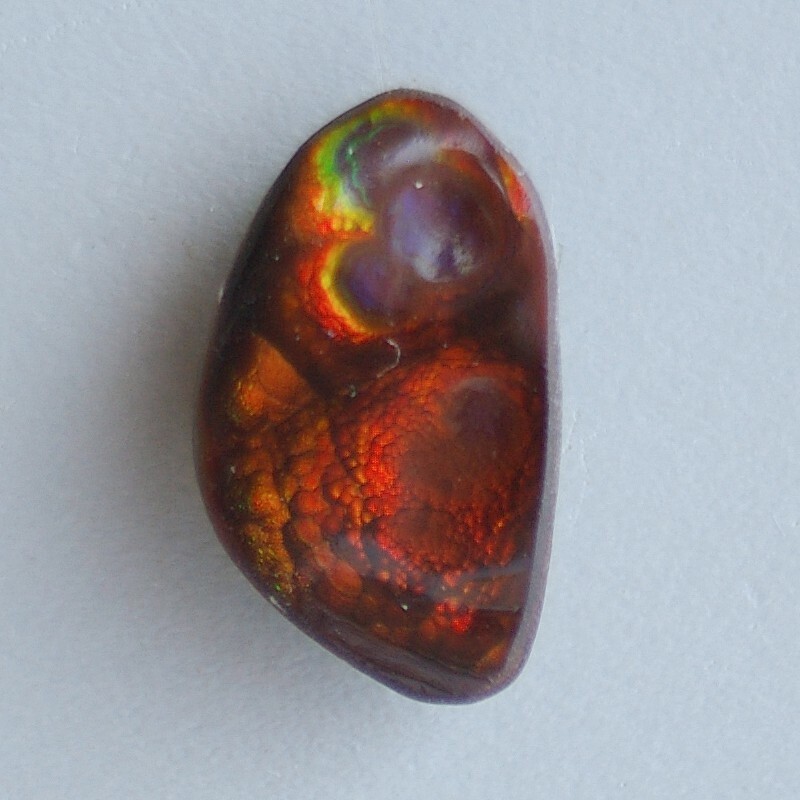 As with most things I do, I got obsessed with fire agate for quite a few years and during this time I spent hundreds of hours out in the hills hunting rough and more hundreds of hours learning how to cut this, in my opinion the most difficult to cut stone in the world. 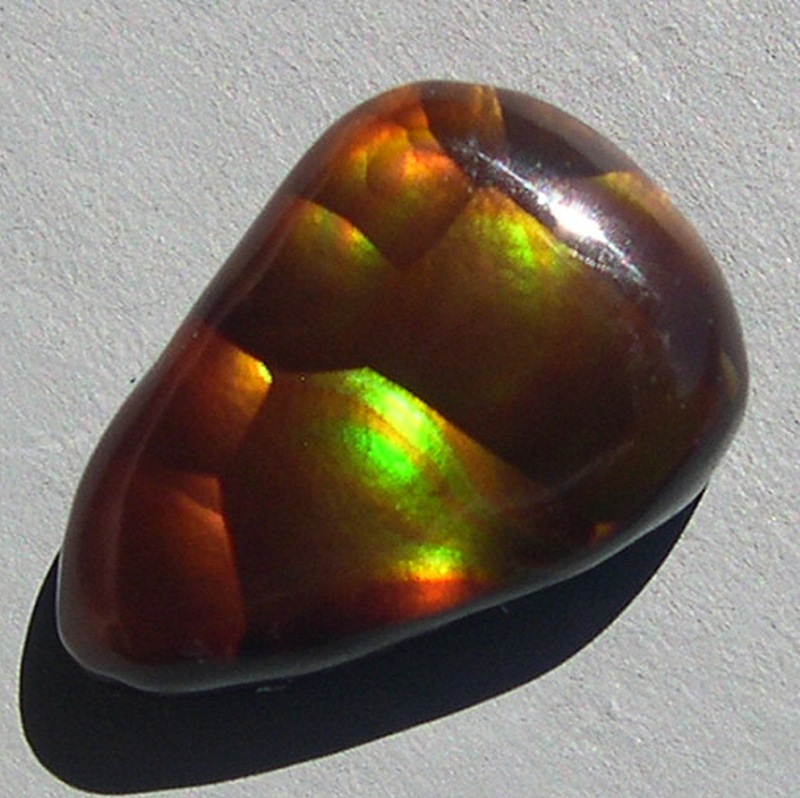 Below you will see a very nice selection of cut stones, the majority of the stones are from Arizona with most coming from Deer Creek.